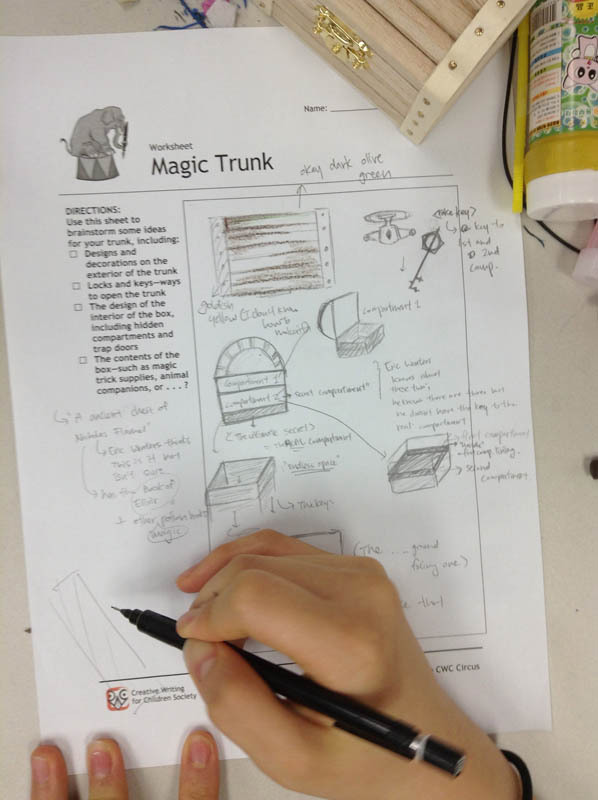 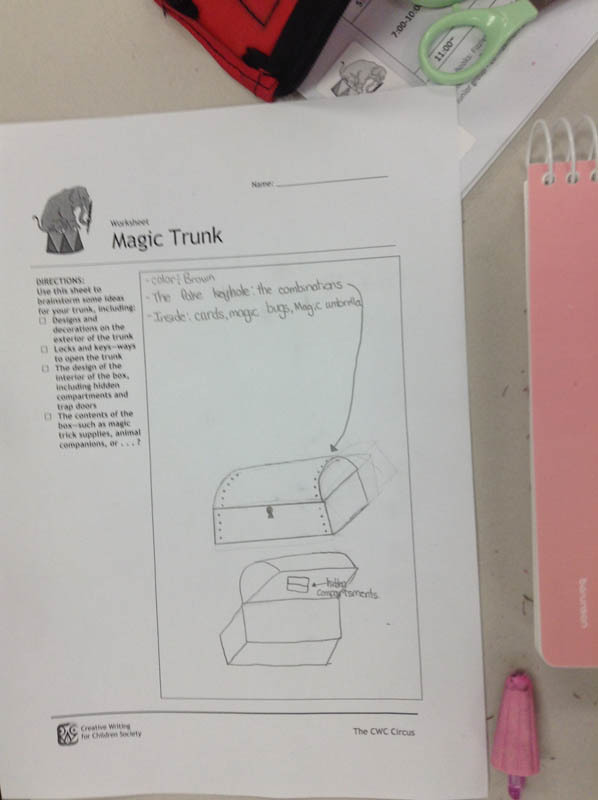 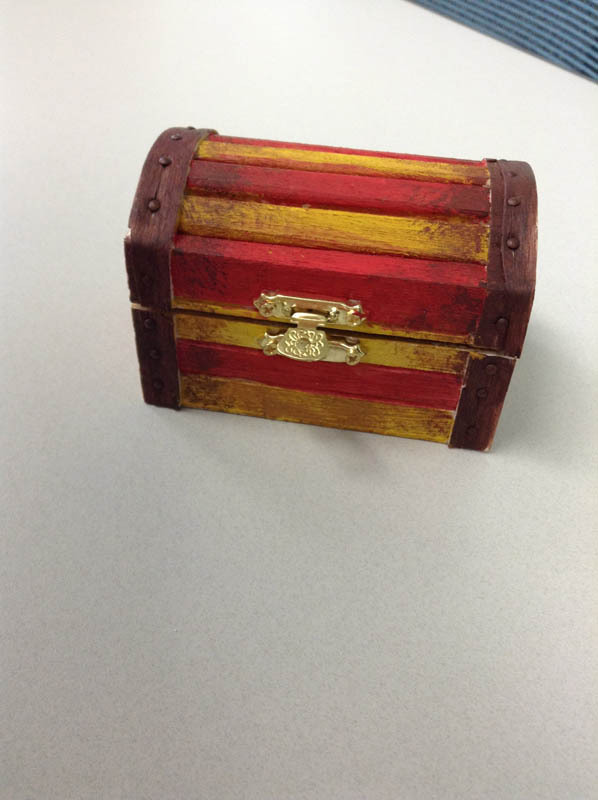 One other activity we have focused on at the CWC Circus Camp is the carnival sideshow; as such, we spent one workshop designing a trunk for a magician. 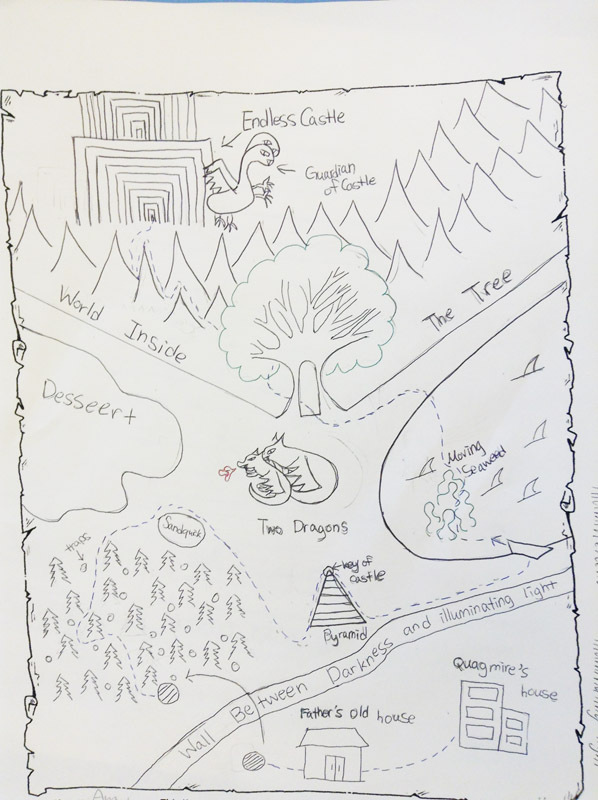 I’ve done this activity several times from a fantasy perspective, riffing off of my box in Kendra Kandlestar and the Box of Whispers, but this was a fun twist. 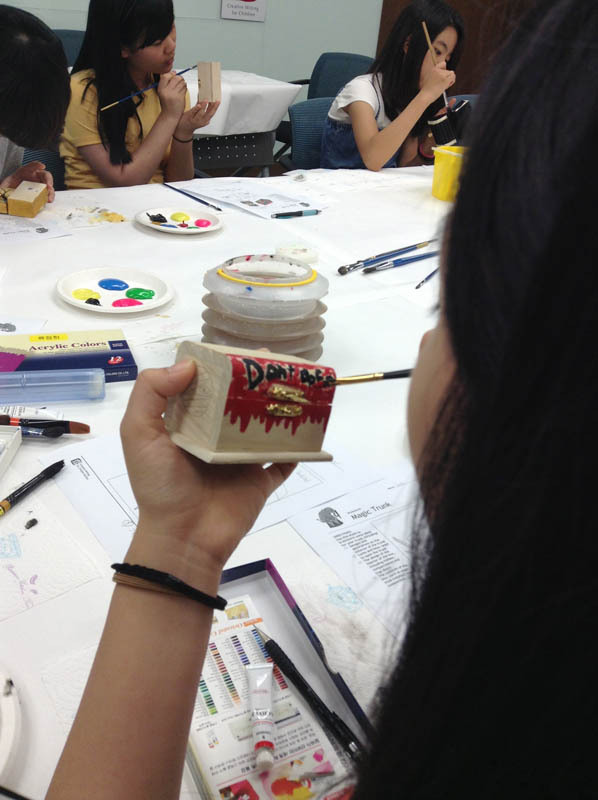 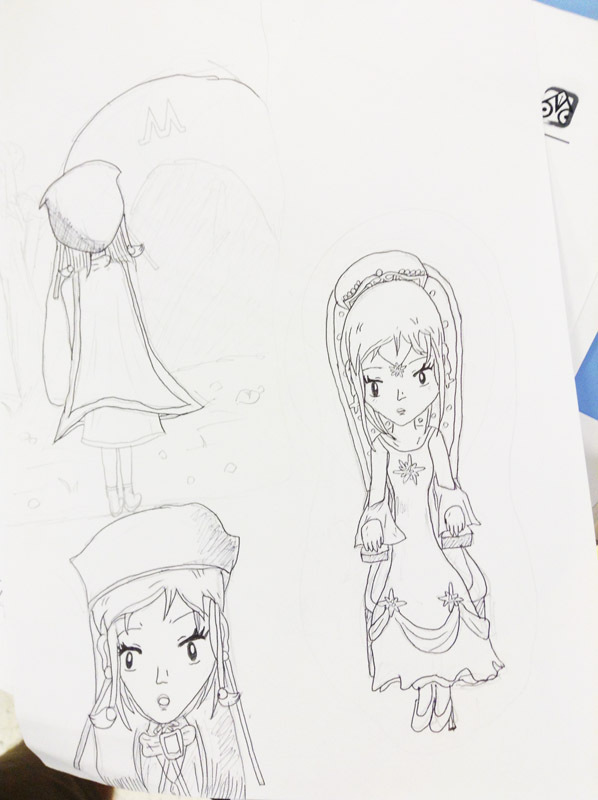 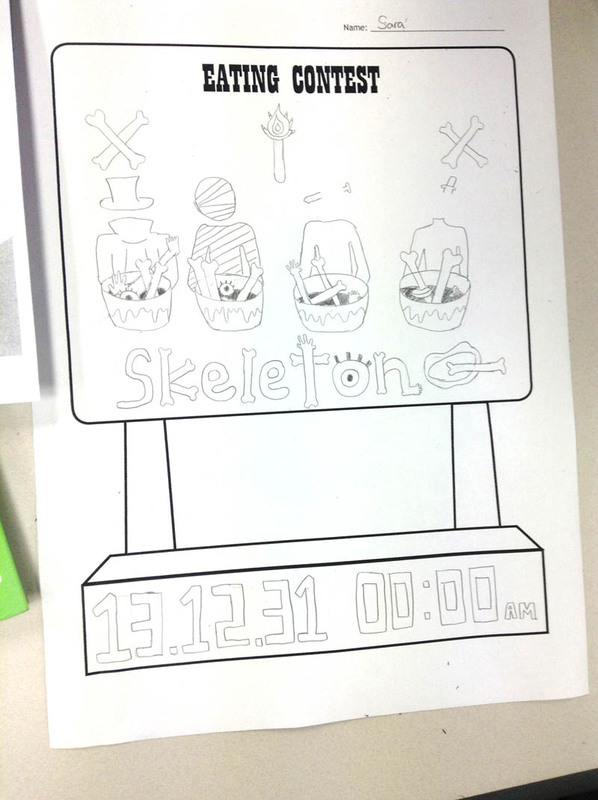 I really pushed the kids to brainstorm concepts and designs for their boxes before proceeding to the painting stage. 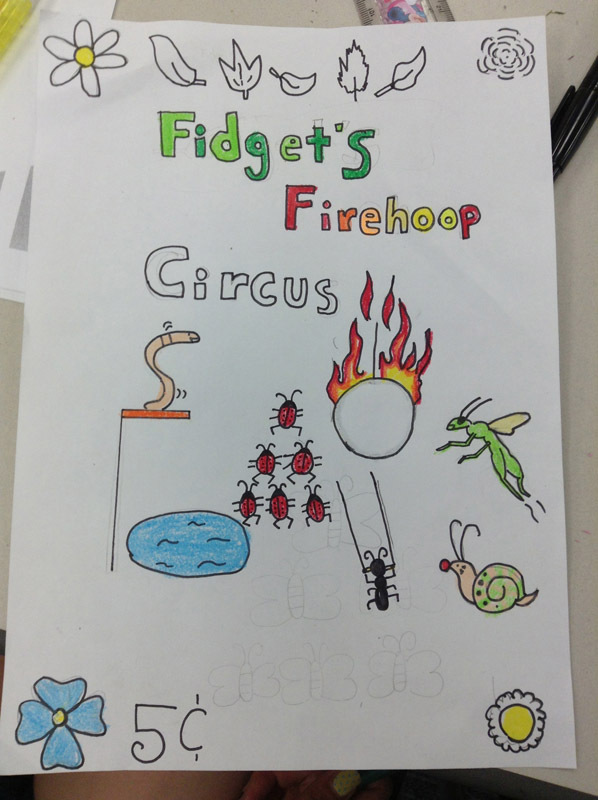 One of the fun aspects of this project is that the students had been given swag-bags at the beginning of the camp that included miniature tops, decks of playing cards, and circus animals. 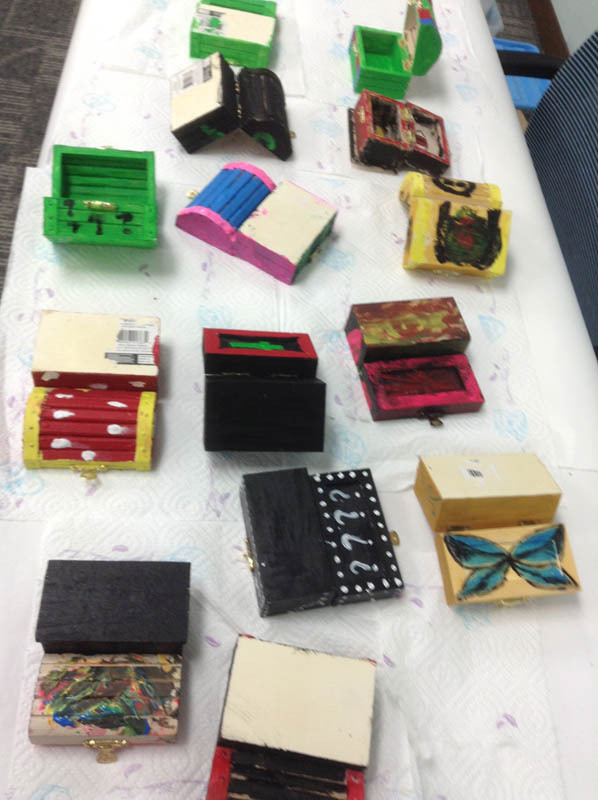 These all fit nicely into their trunks! 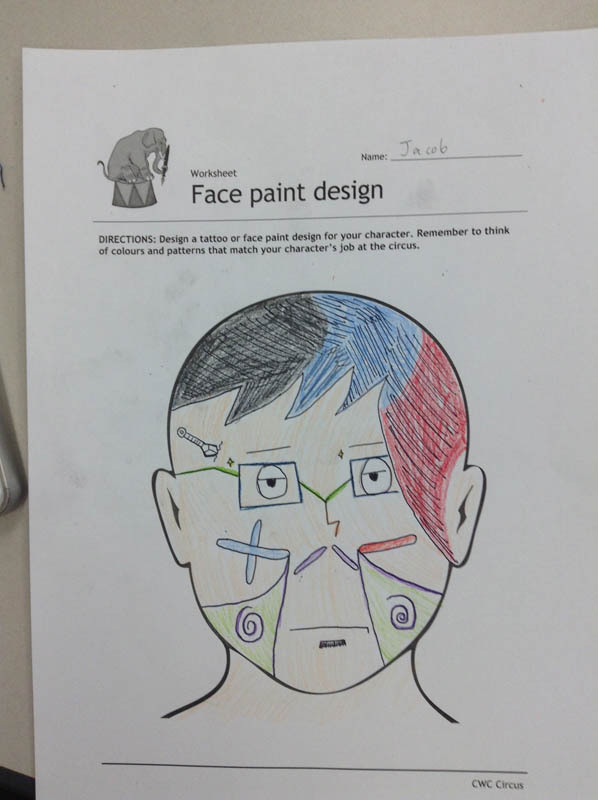 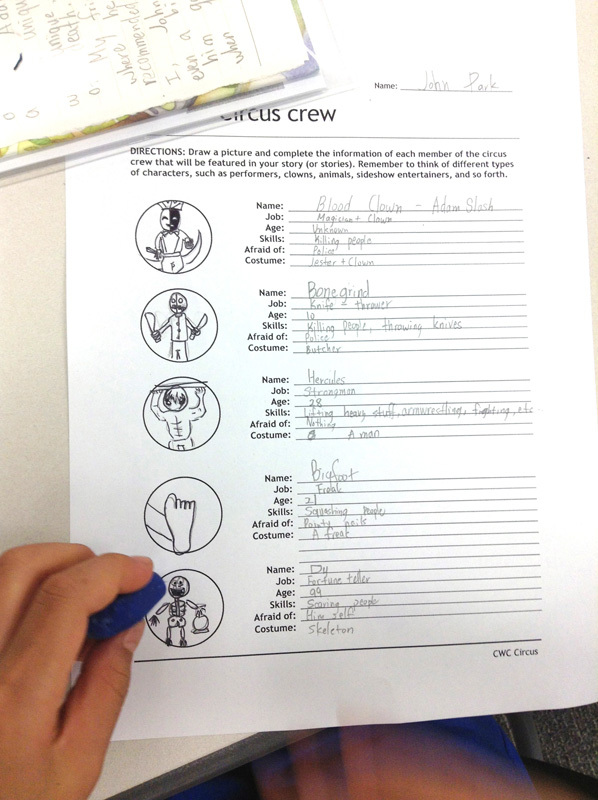 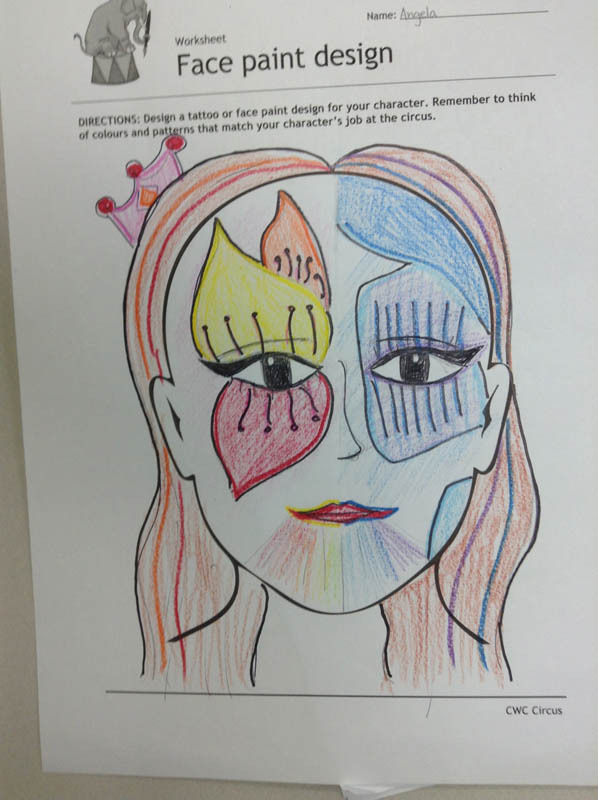 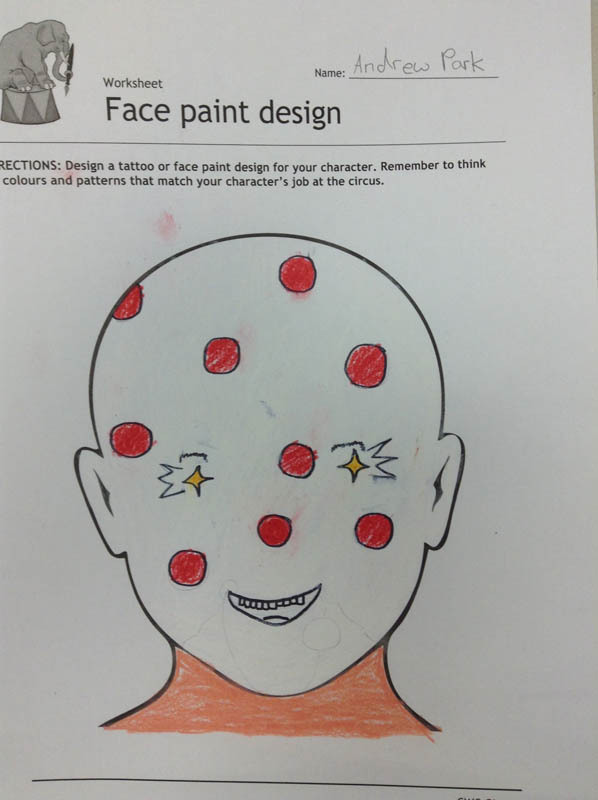 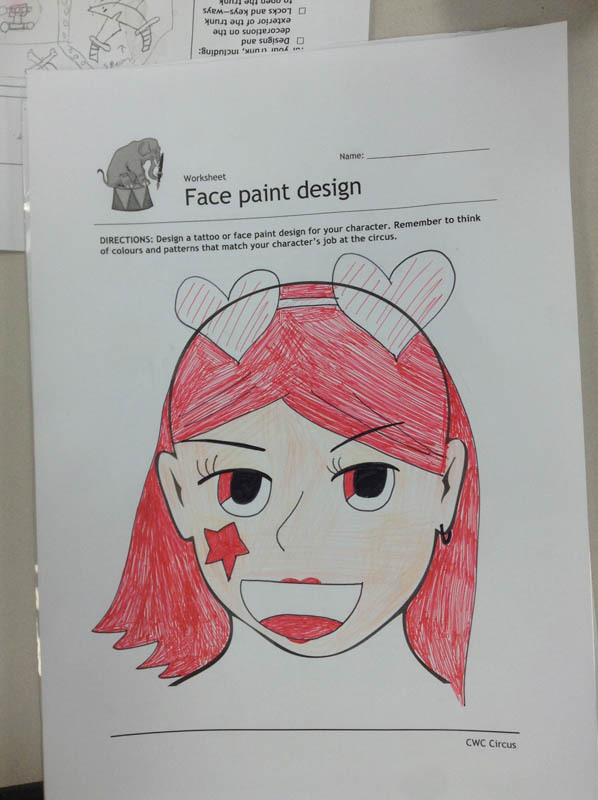 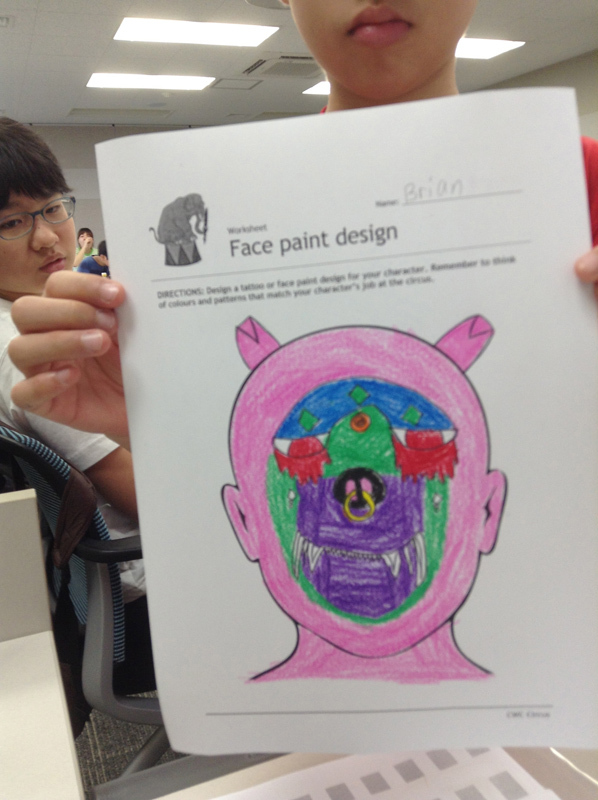 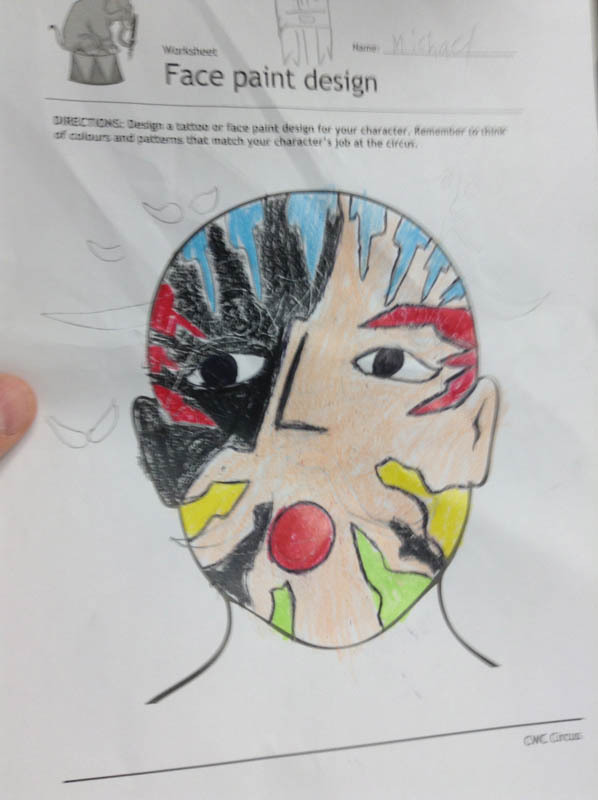 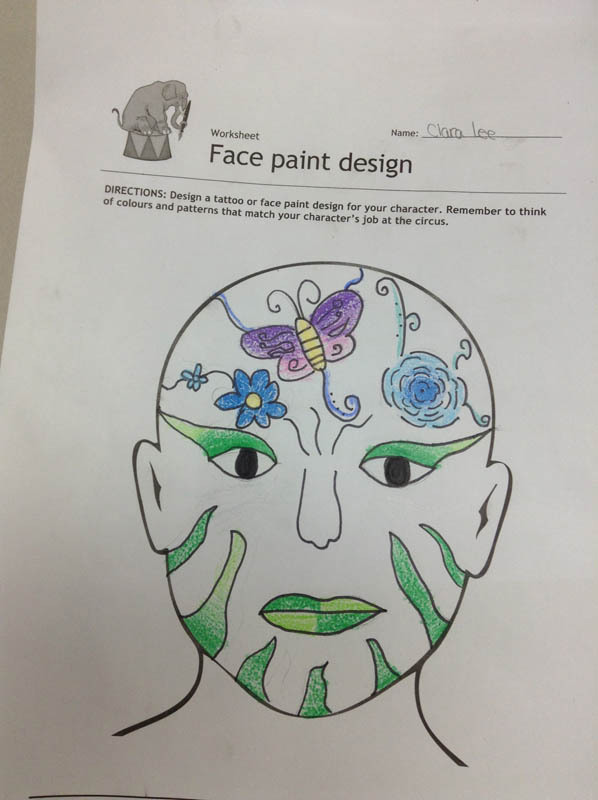 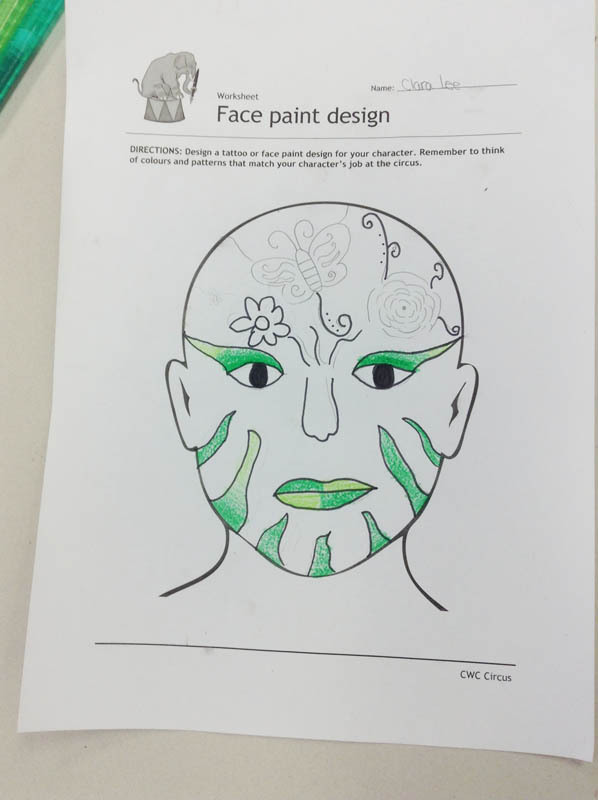 Day 3 at the CWC Circus Camp in Yongin, Korea, featured a new activity for us—the design of a clown face. 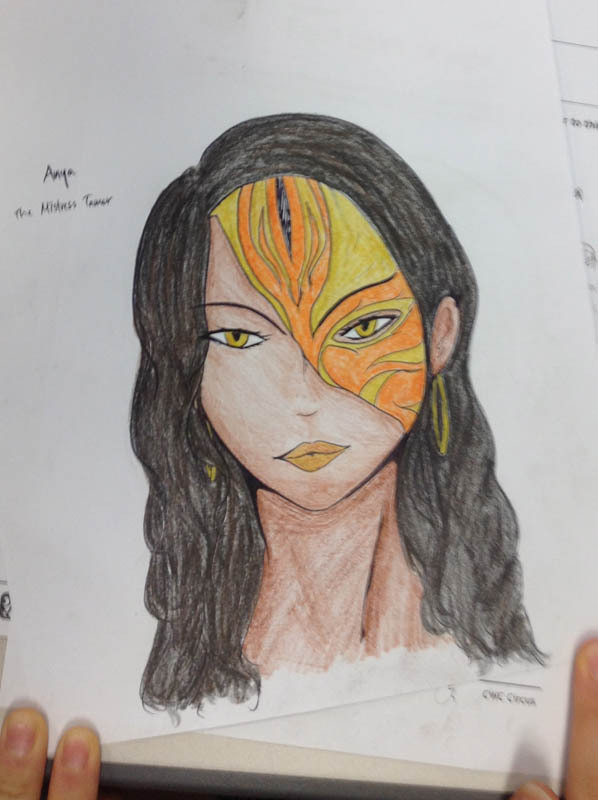 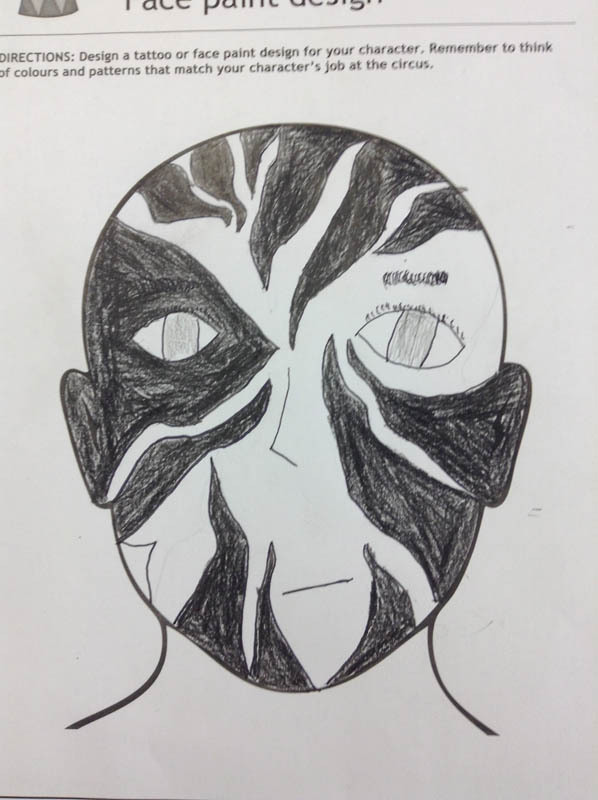 In Kendra Kandlestar and the Crack in Kazah, there is a lot of face and hair design in the Jamboreen celebration—as you can see in this illustration of Kendra and Oki. 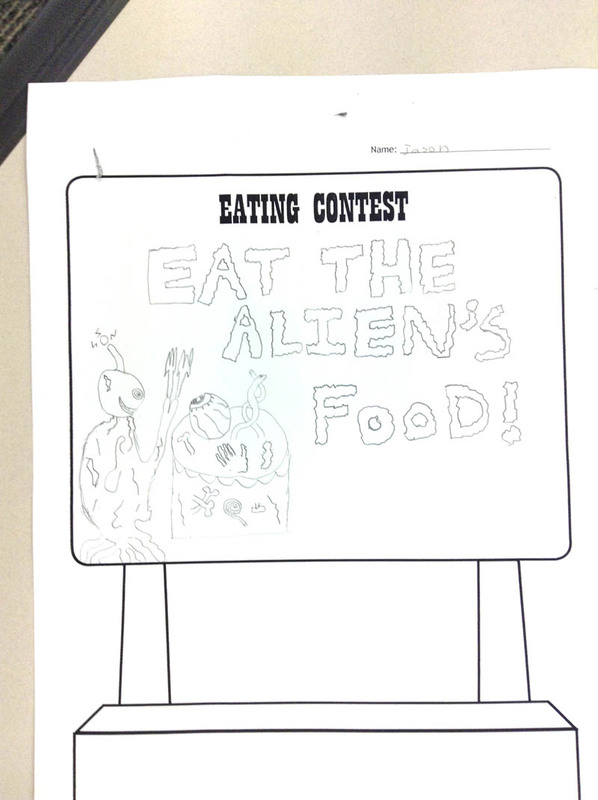 So I thought this would be fun for our students. 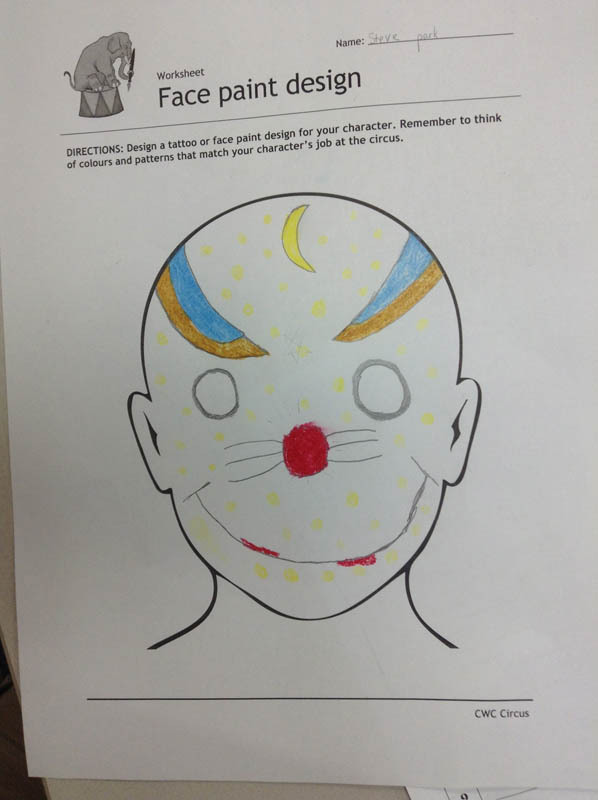 However, I actually find full-blown clowns terrifying . 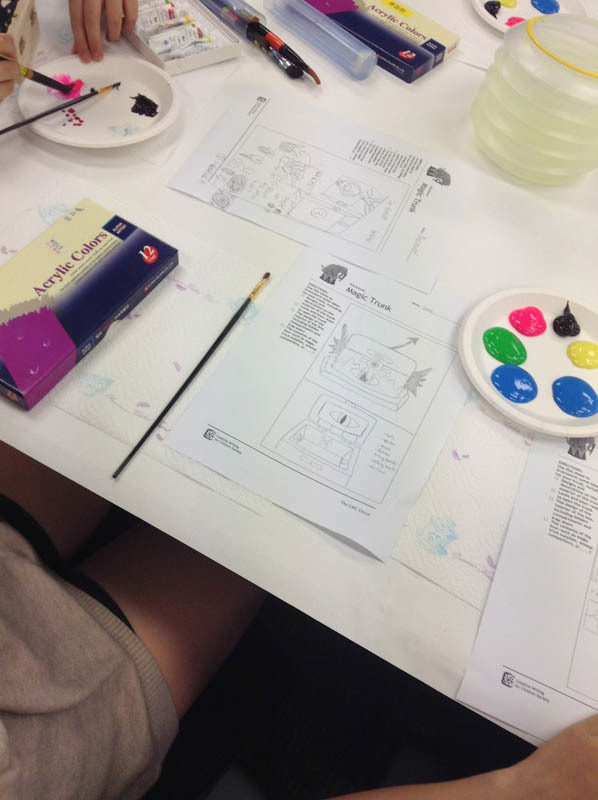 . . so perhaps it was a good thing that my teaching partner, Kallie George, led this workshop. 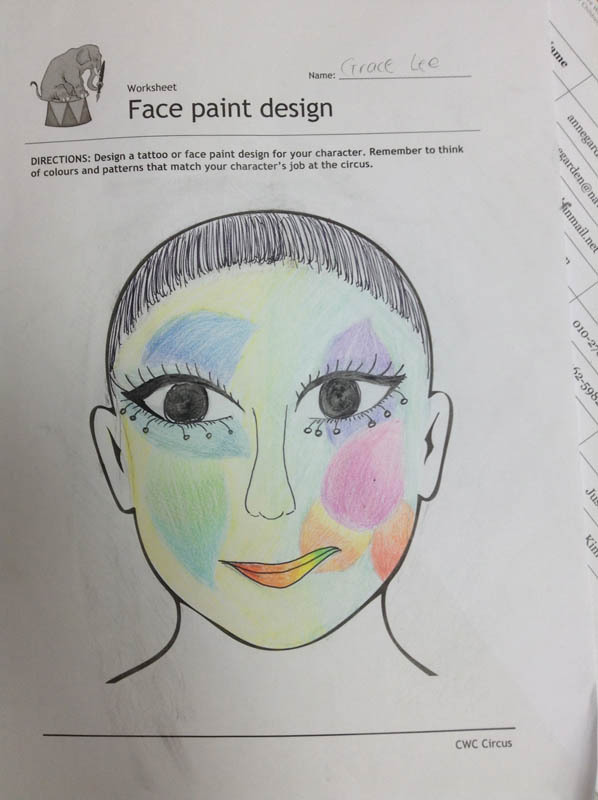 We started by discussing famous clowns, including perhaps the most famous of all, Grock, and then looked at some of the stunning designs that are featured in Cirque du Soleil. 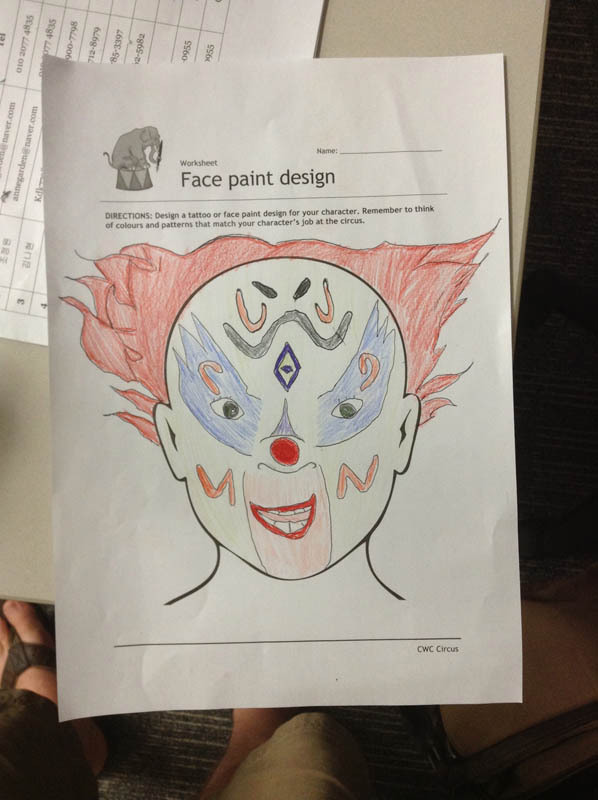 Armed with this inspiration, our students proceeded to create some pretty wonderful (and, in some cases, creepy) clowns and masks . 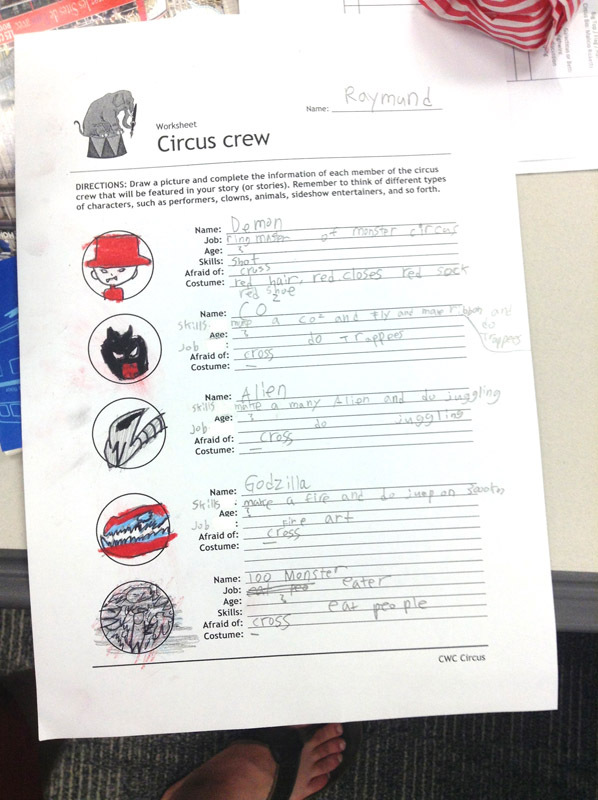 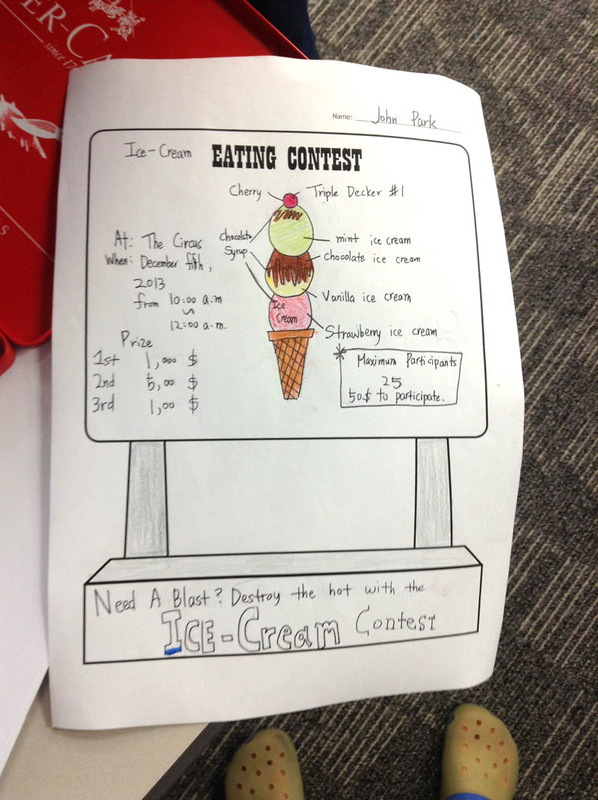 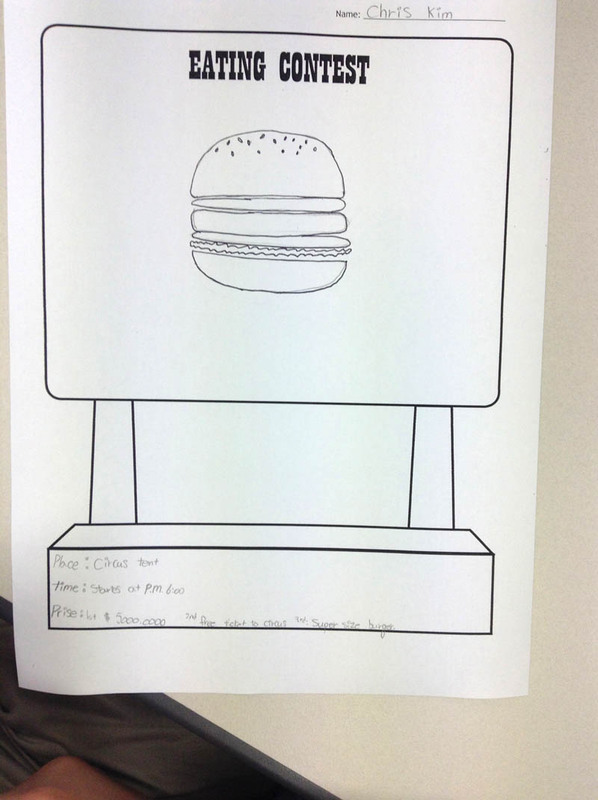 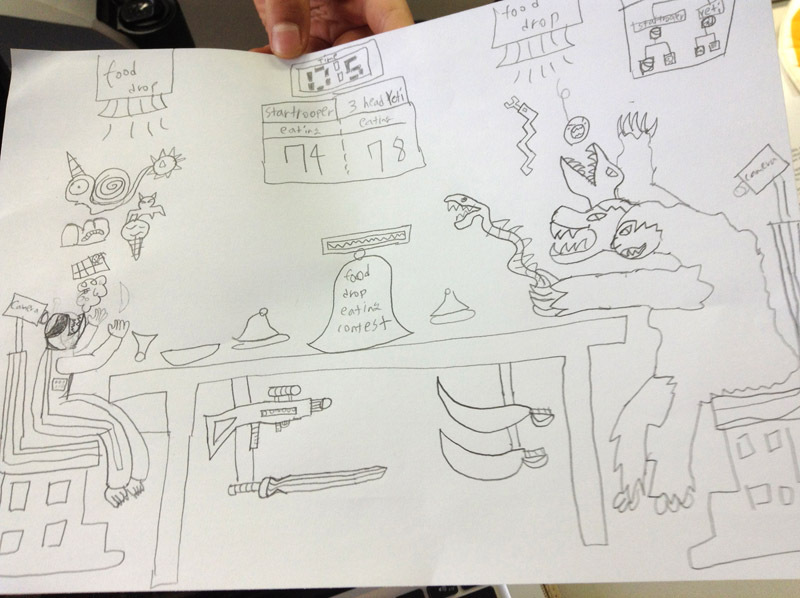 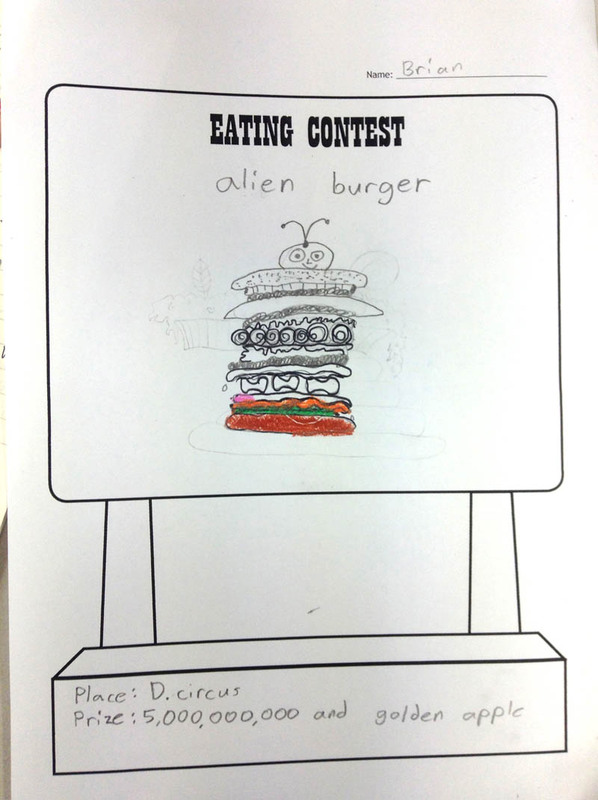 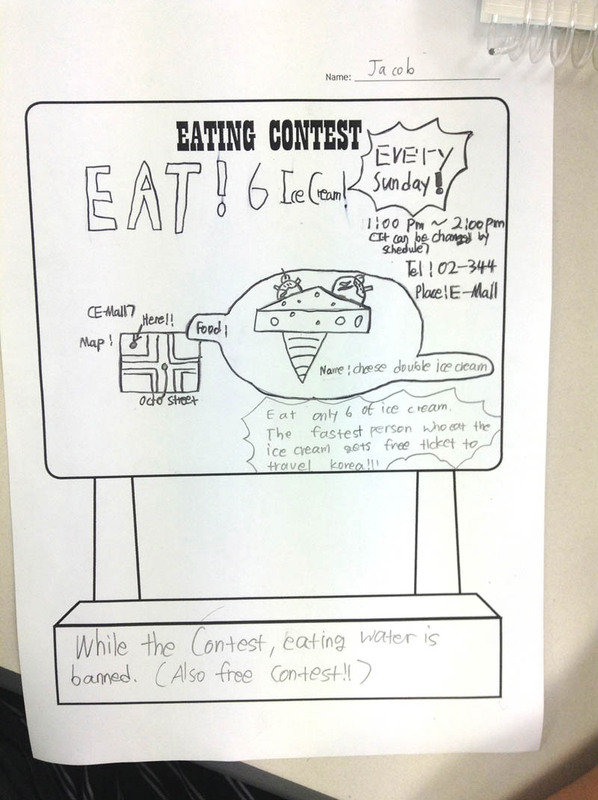 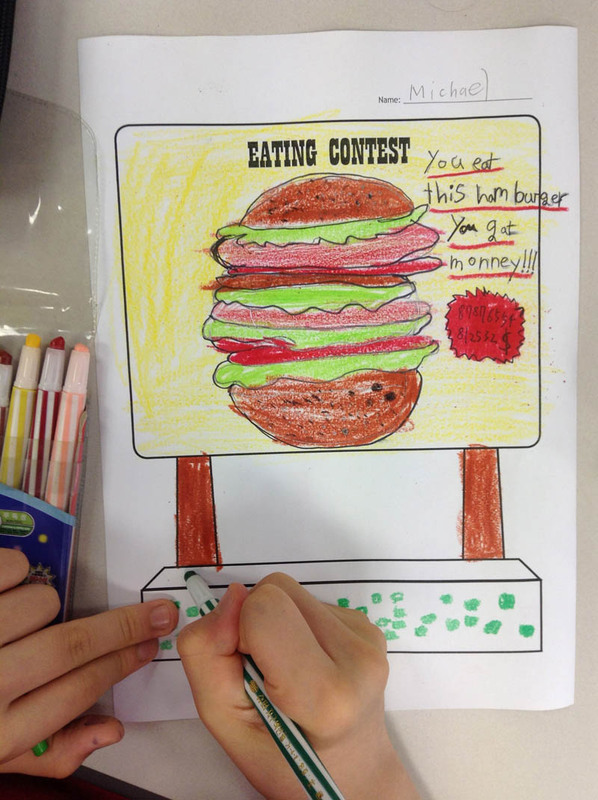 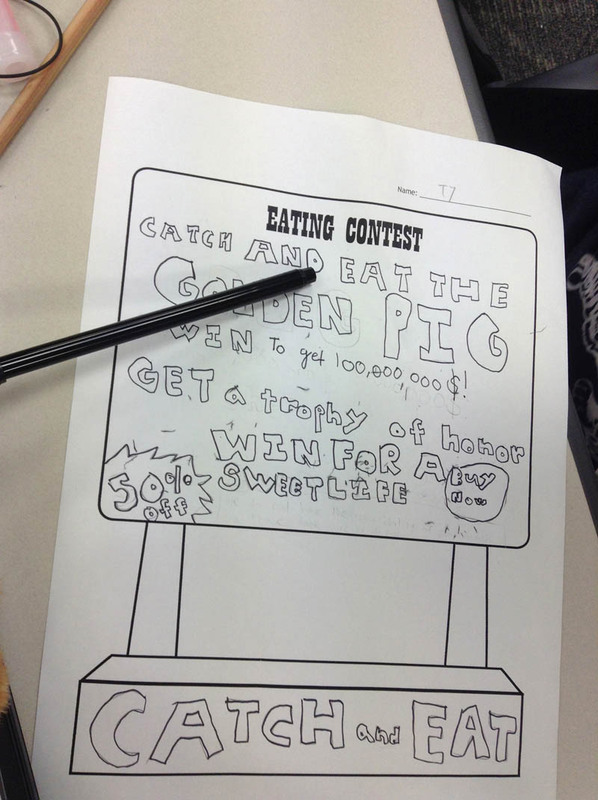 . .
As a follow-up activity, we had the kids design some creative carnival food and pit two characters against each other in a good-old-fashioned eating contest. 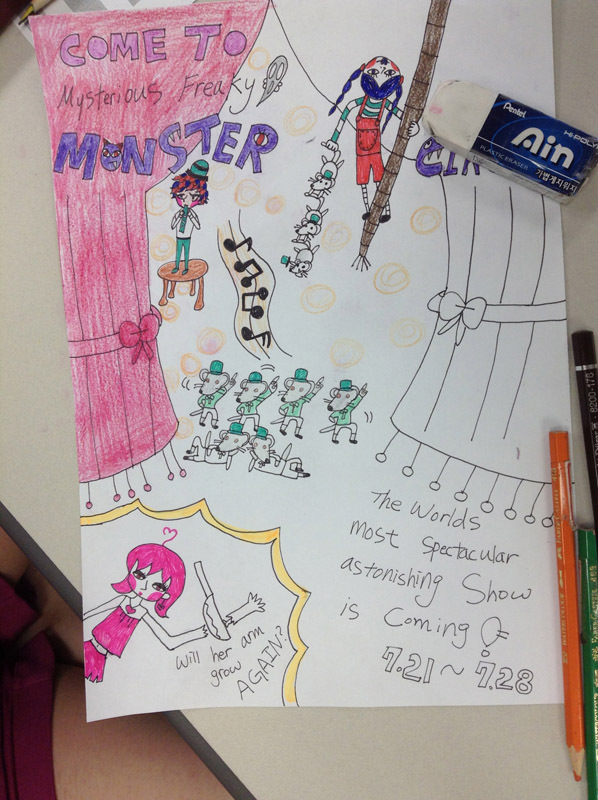 They are all pretty imaginative. 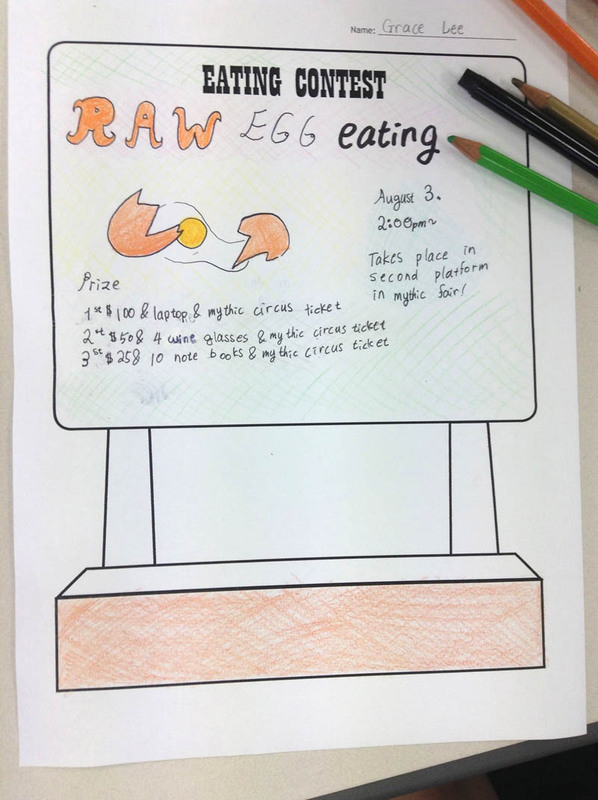 Many of them are also disgusting—but, by far, the worst is the one that involves eggs because, as we all know, eggs are disgusting. 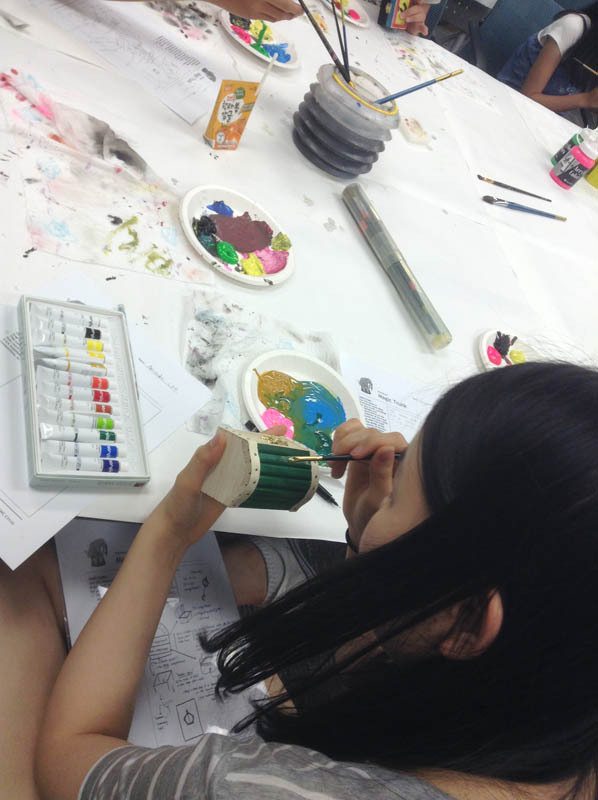 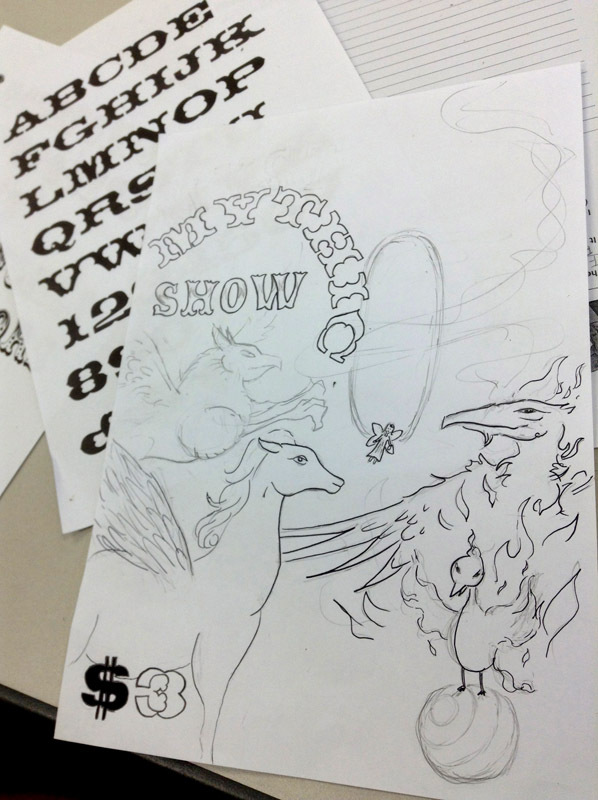 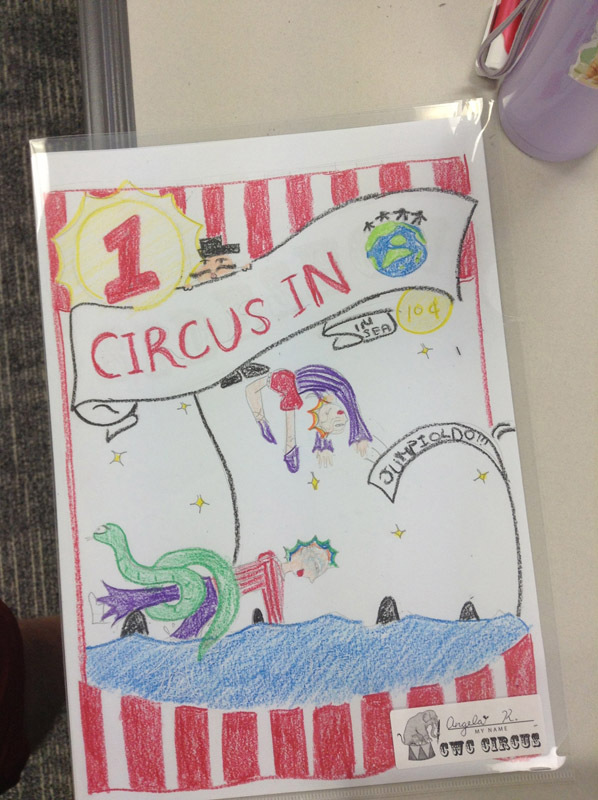 Today, I kicked off a creative writing camp based on the theme of circus in Yongin, Korea, hosted by CWC. 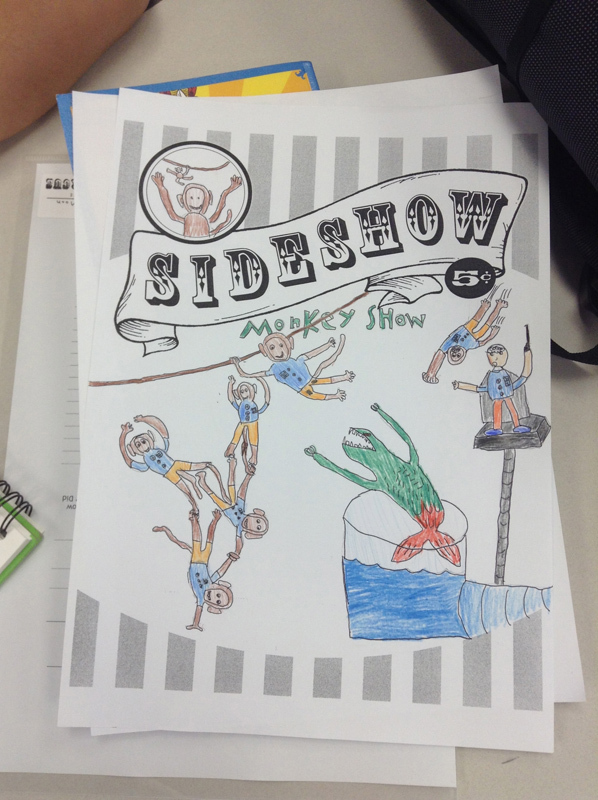 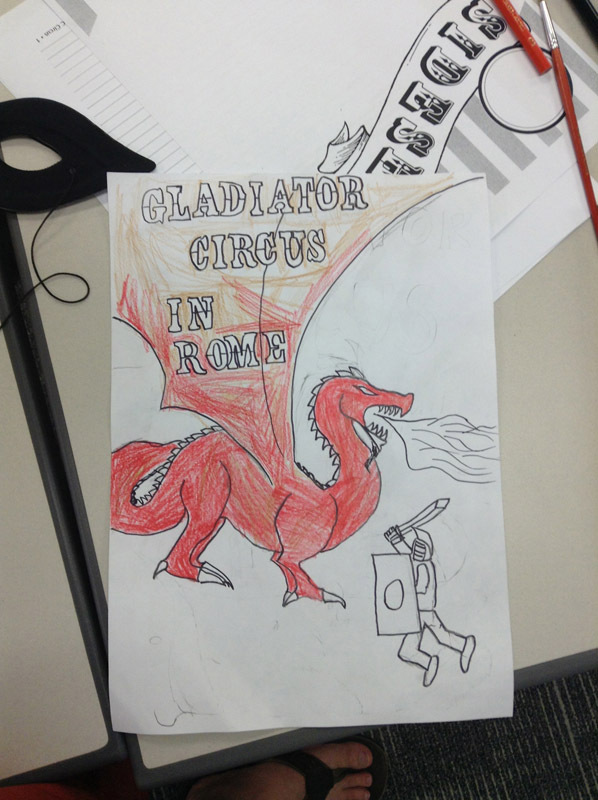 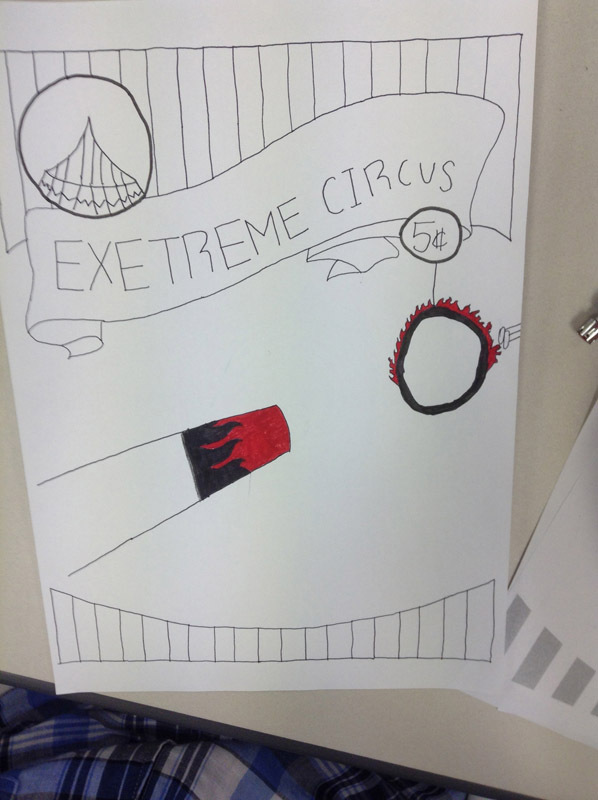 My fellow mentor in this enterprise is Kallie George, and we started off by having our students design circus posters, which they then used as springboards into their stories. 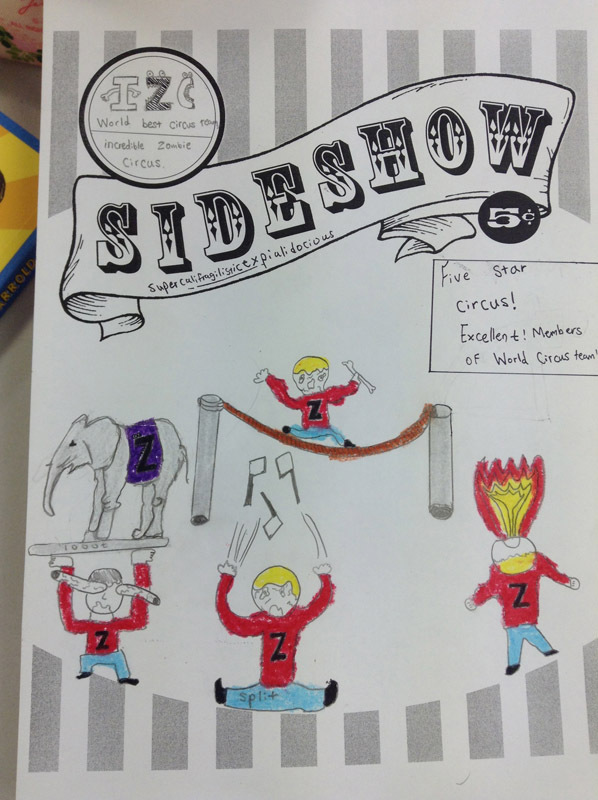 Both Kallie have written books that incorporate circuses. 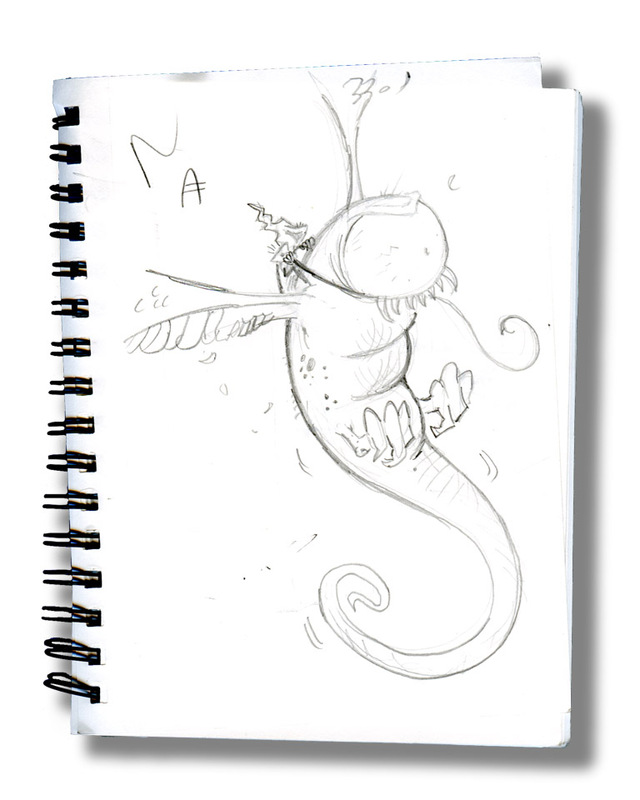 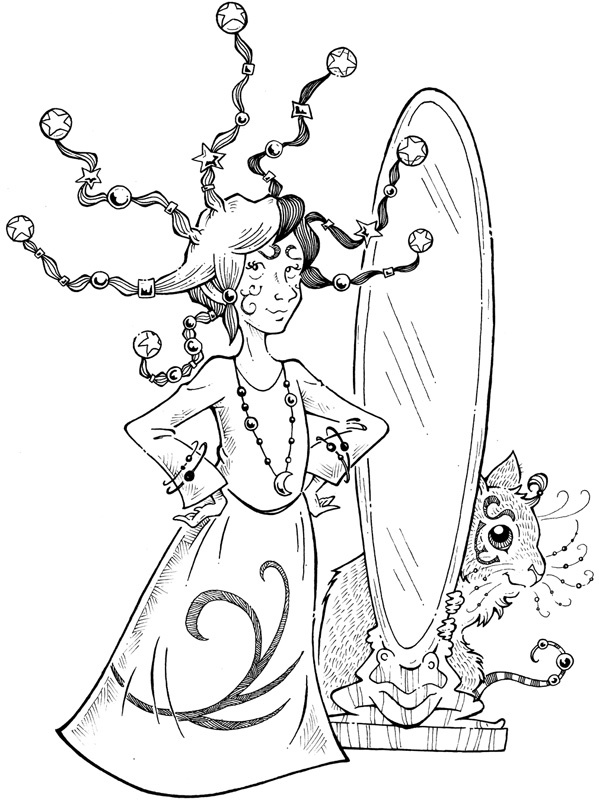 Kallie’s The Melancholic Mermaid is set largely in a circus, while a traveling circus led by the insidious Ringmaster Ratbaggio is featured in my book, Kendra Kandlestar and the Crack in Kazah. 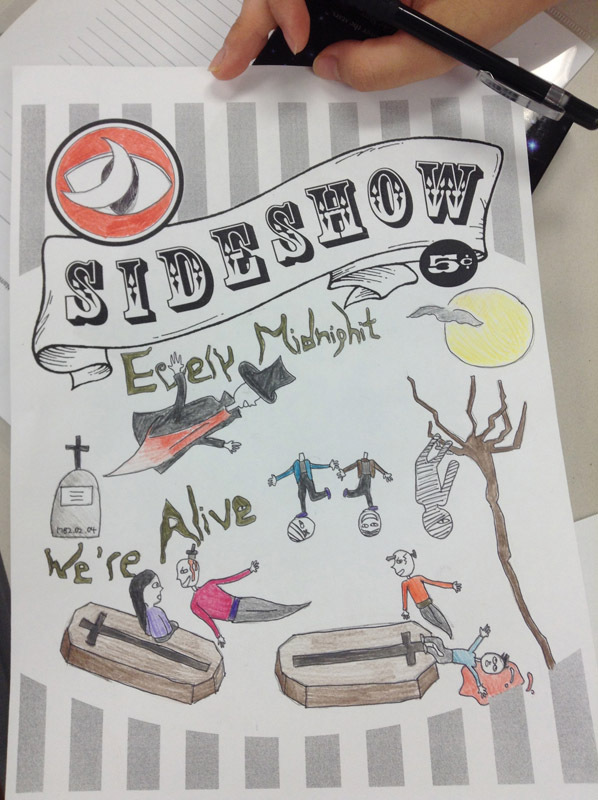 Here’s some snapshots of their posters . 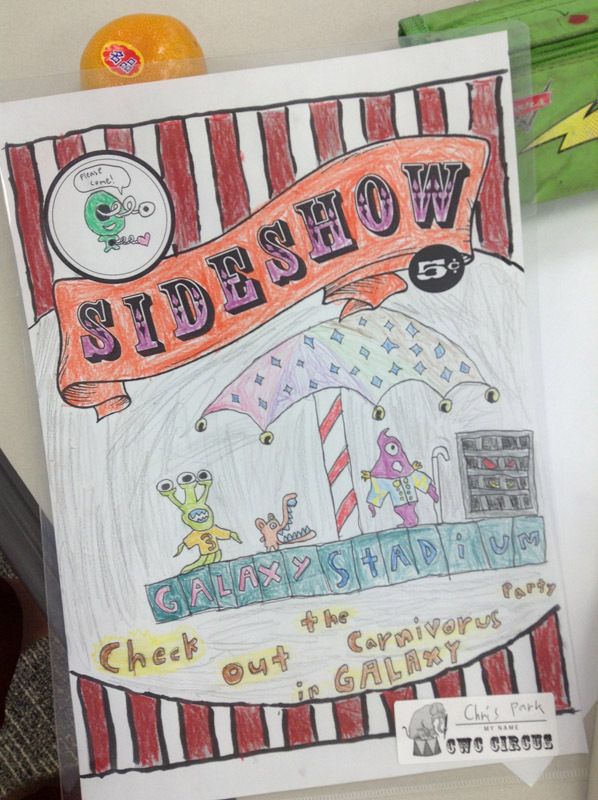 . . you will see that there all manner of circuses: zombie, aliens, and bugs abound! 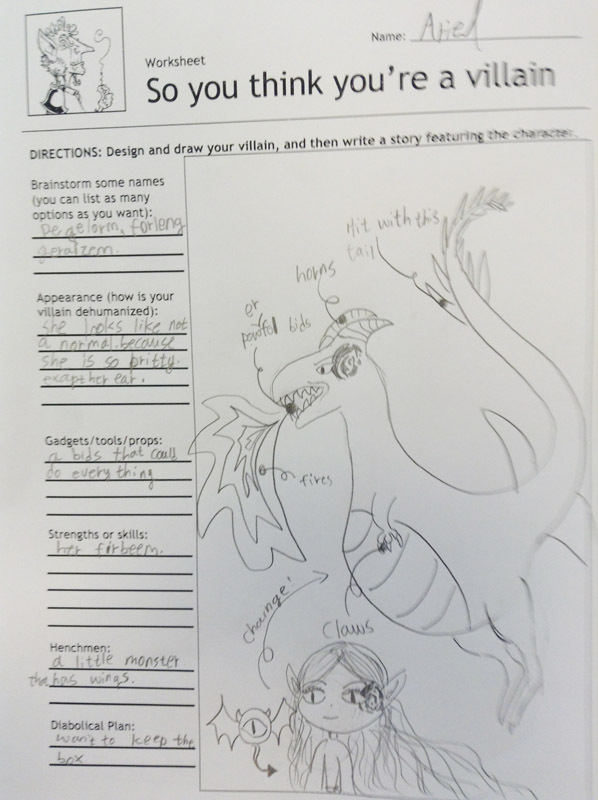 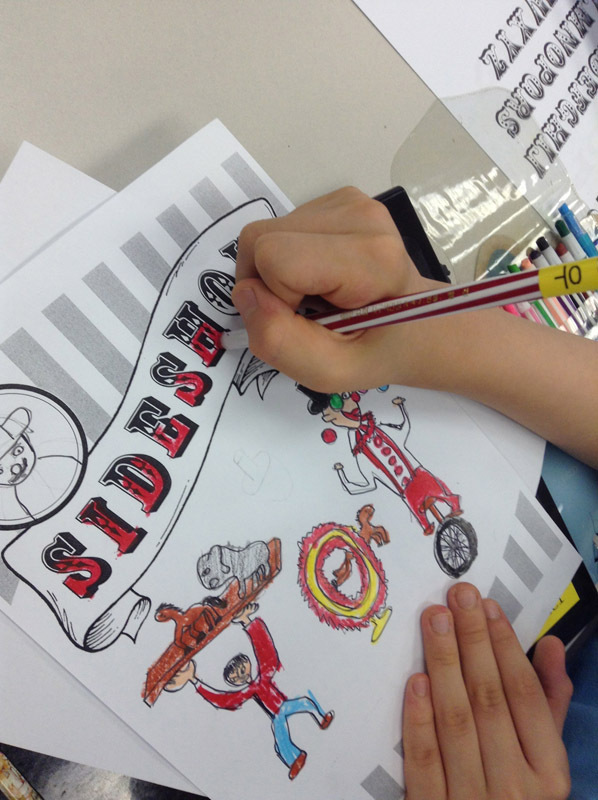 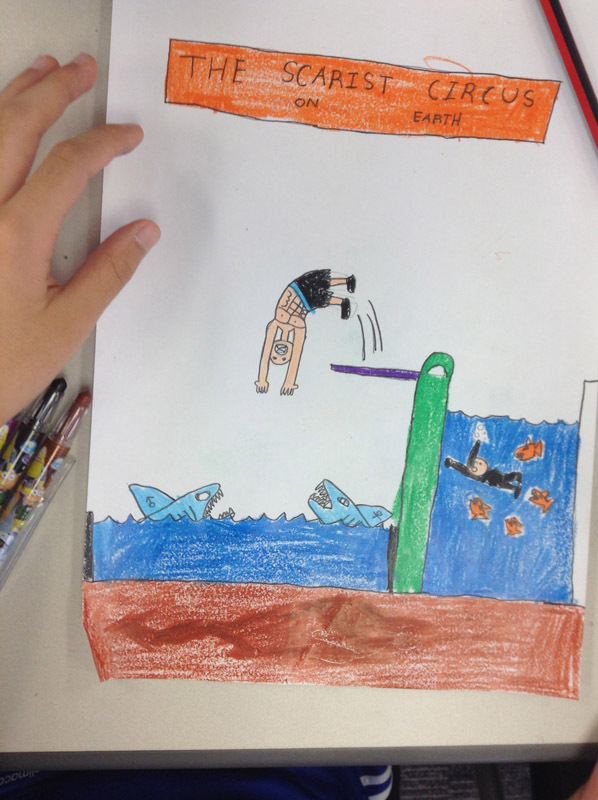 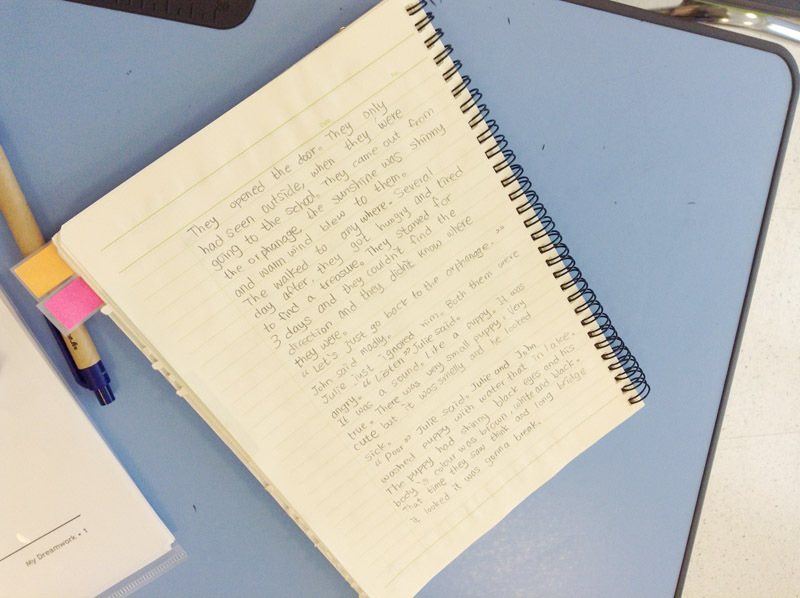 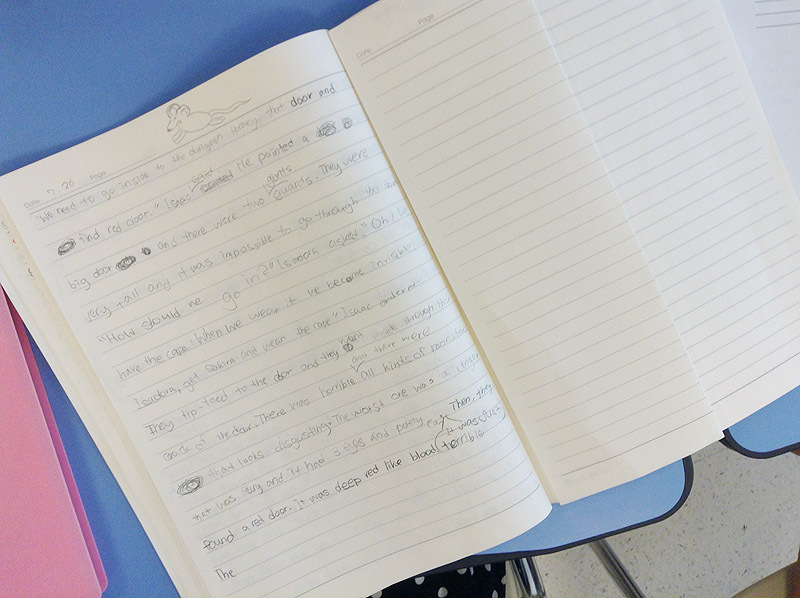 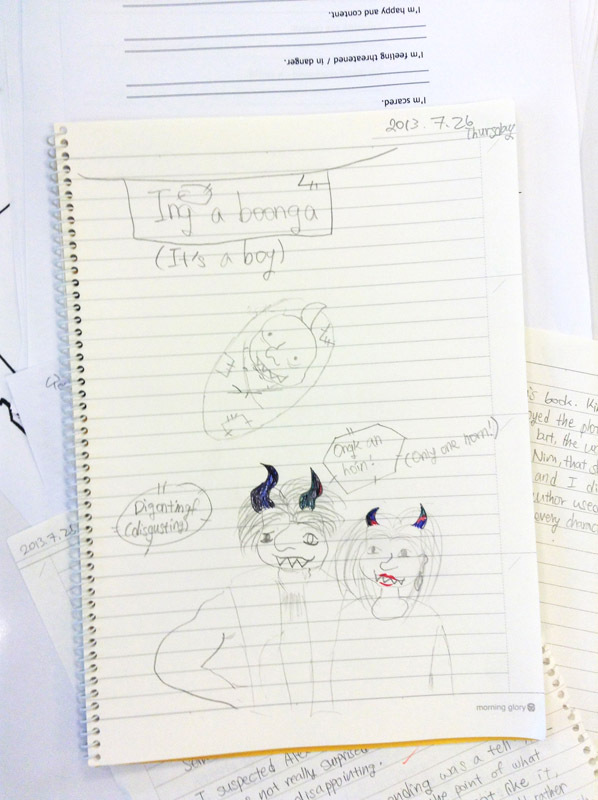 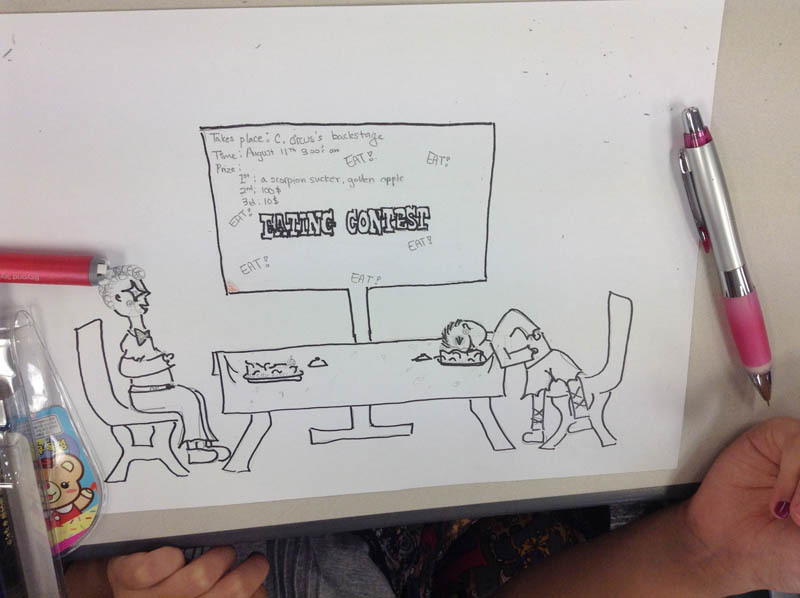 Today we wrapped up my camp at CBIS international school is Seoul by finishing up all of our illustrations and editing our stories so we can publish them in an anthology. 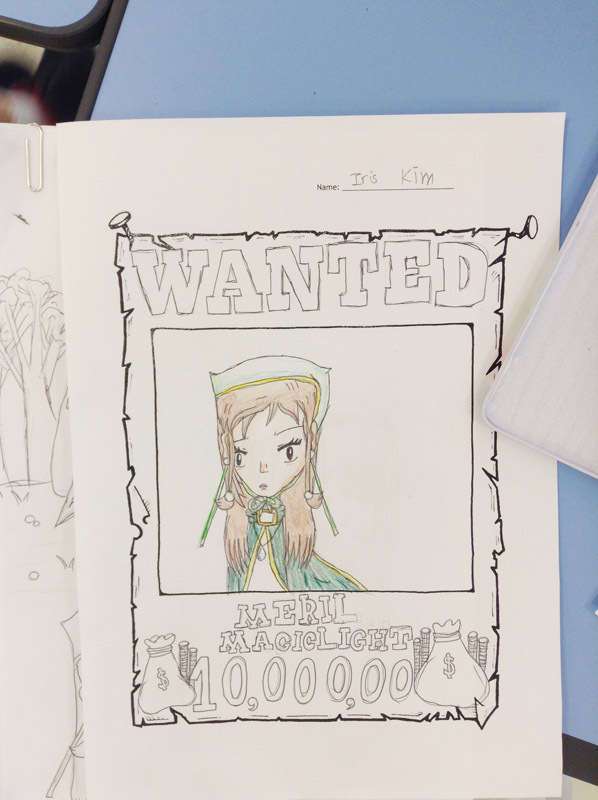 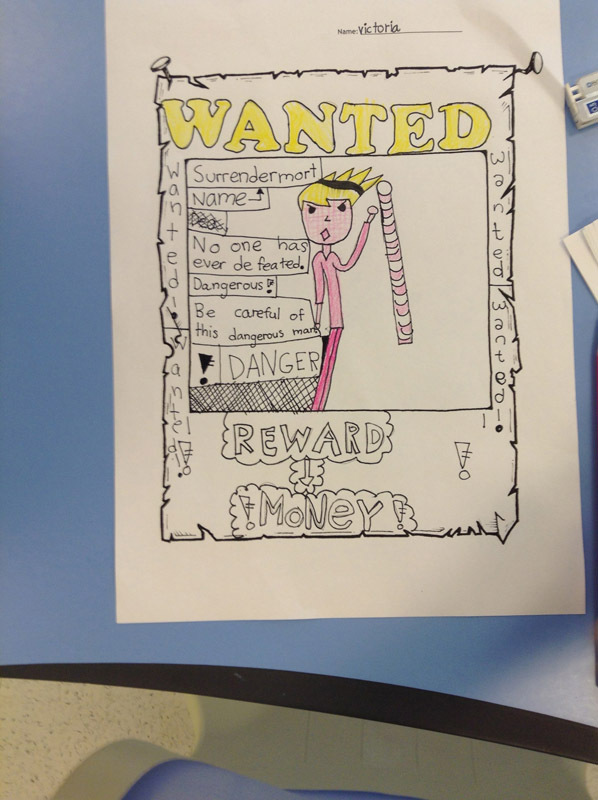 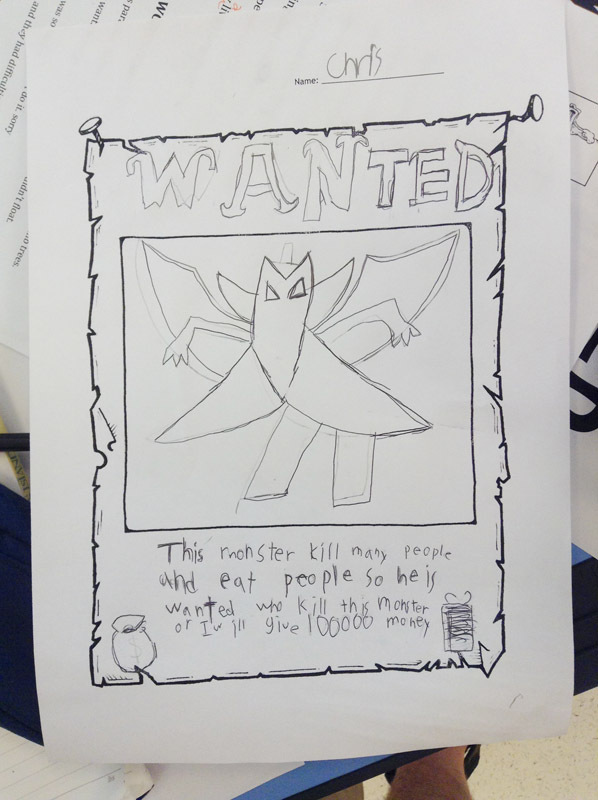 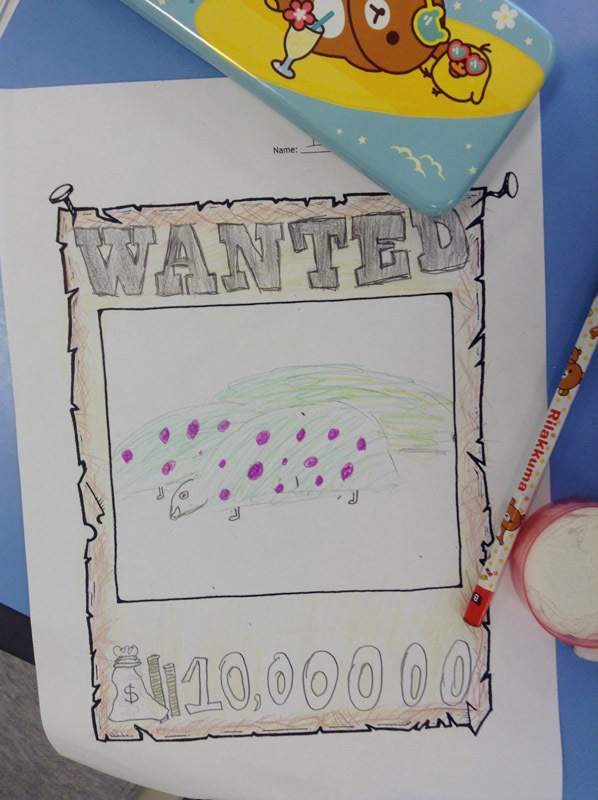 Some students had a chance to make “Wanted” posters to go with their books—these are a great match with a monster story (though they work with heroes and villains too). 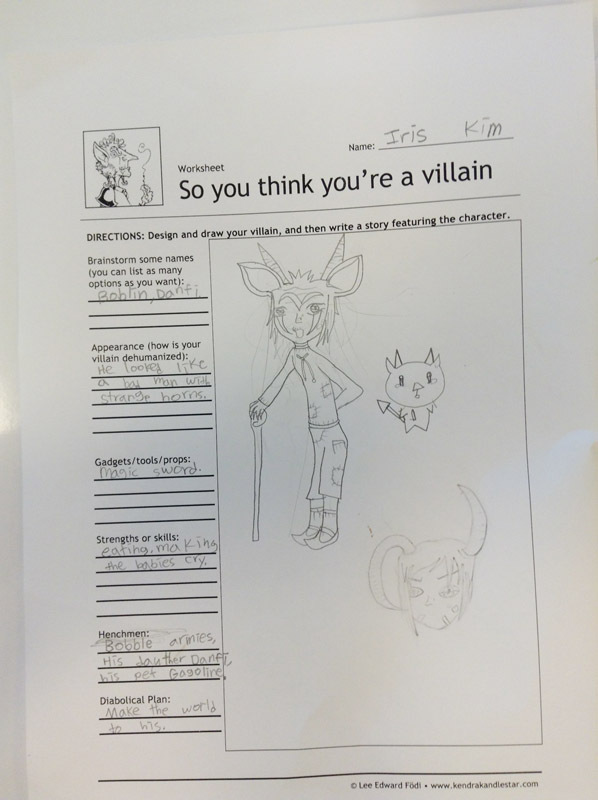 On Day 4 of my camp at CBIS international school in Seoul, we turned our attention back towards characters, but this time we focused on villains. 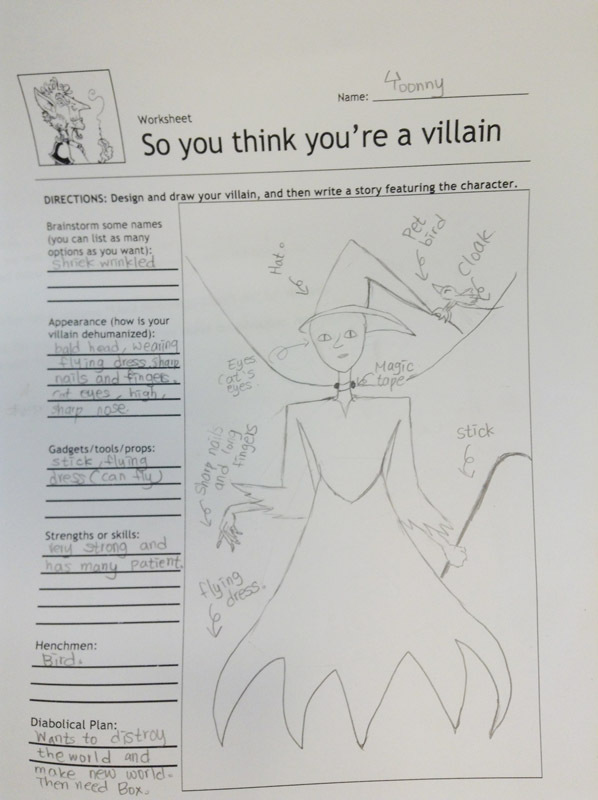 After taking my diabolical villain personality quiz, we examined some of our favorite villains from books and film, including Voldemort, Cruella de Vil, Jadis, and Darth Vader. 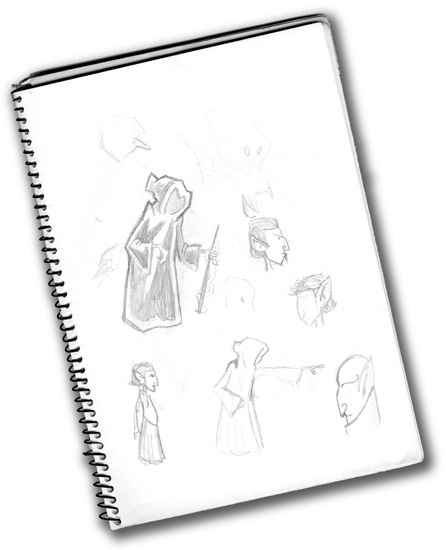 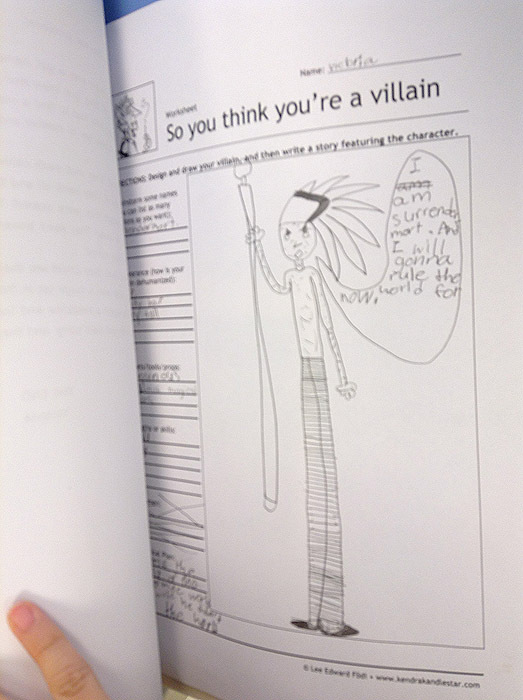 I also showed the kids some of the early artwork that went into the genesis of my favourite villain from Kendra Kandlestar: Agent Leerlin Lurk. 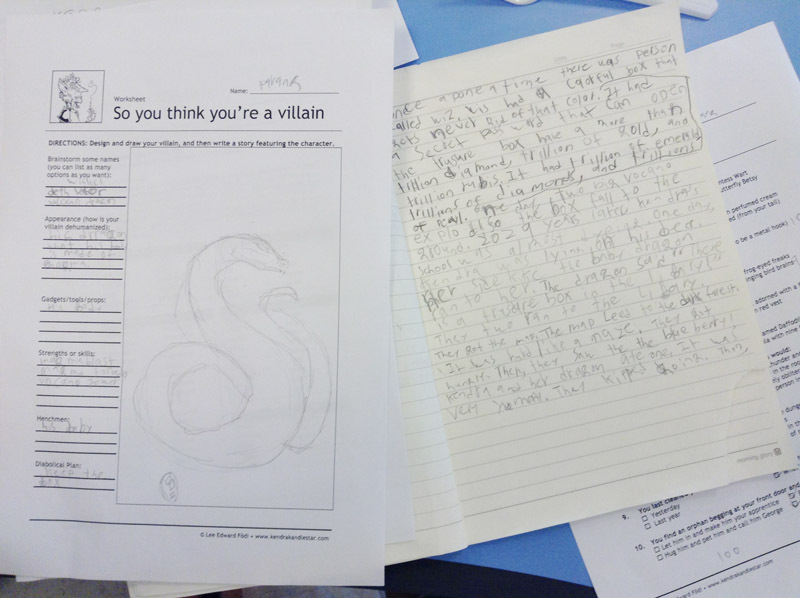 This was a really great way to discuss the perspective of a villain and how the best-designed villains have clear motivation and a specific diabolical plan. 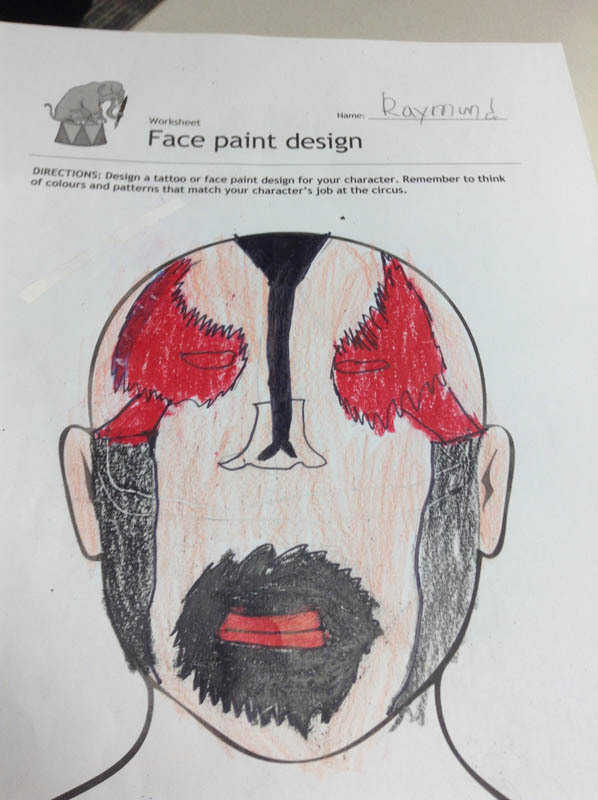 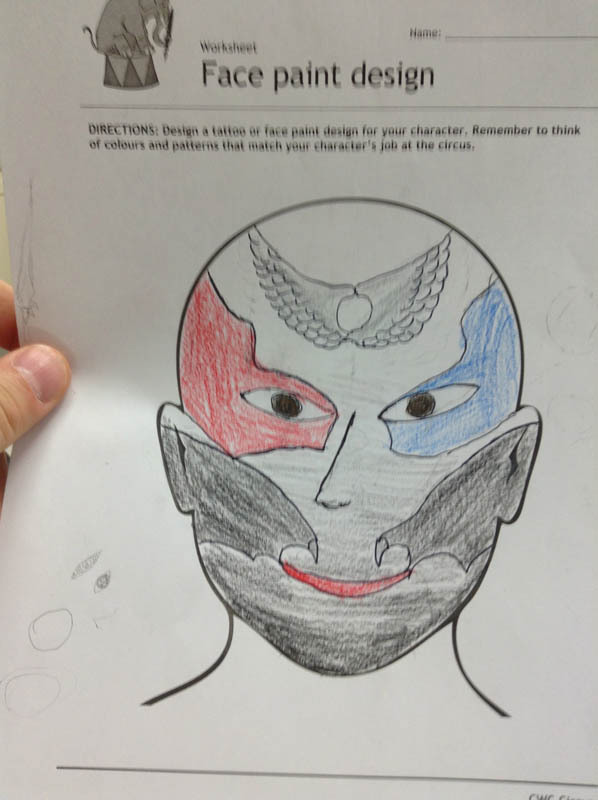 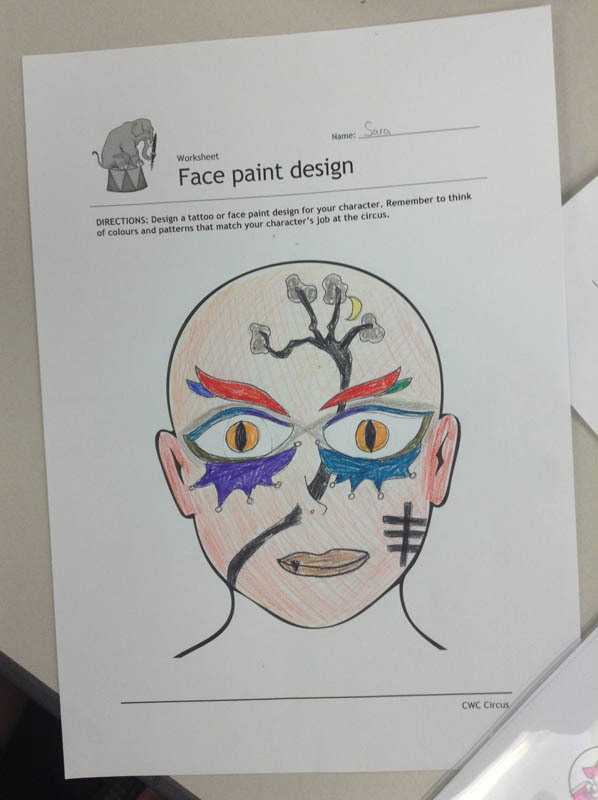 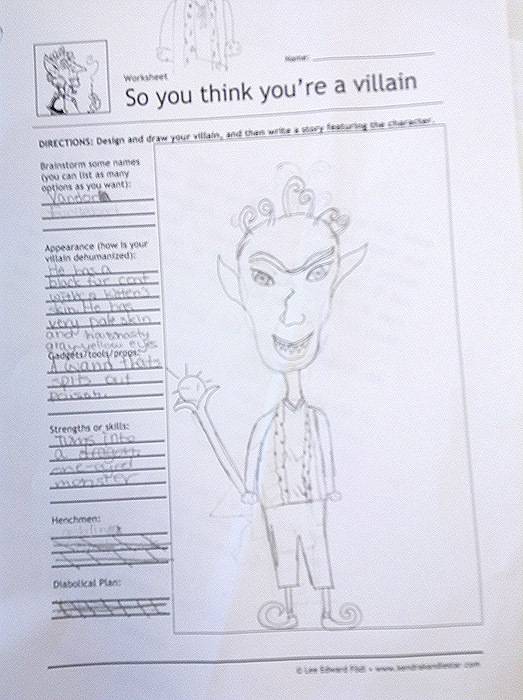 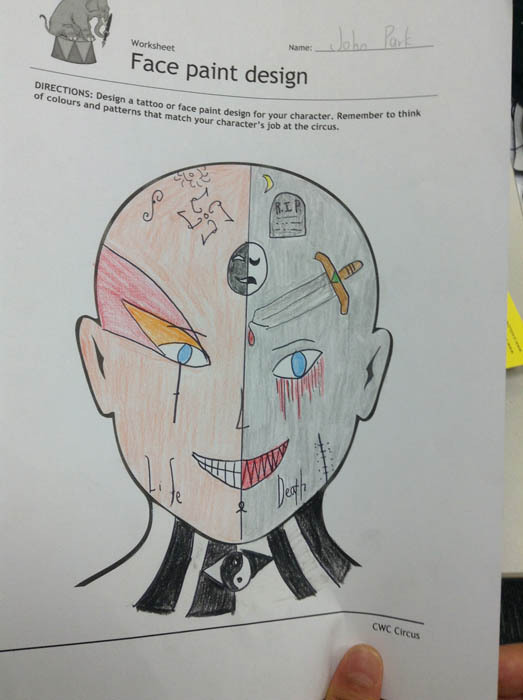 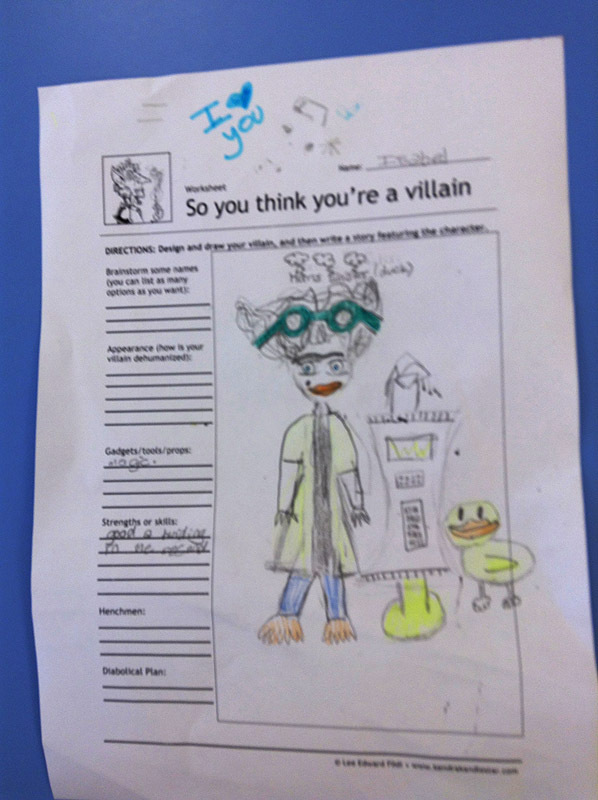 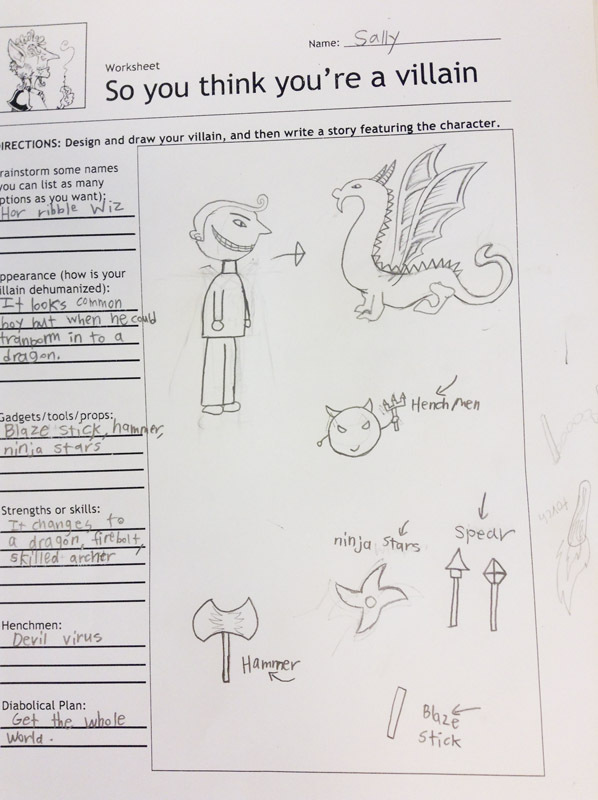 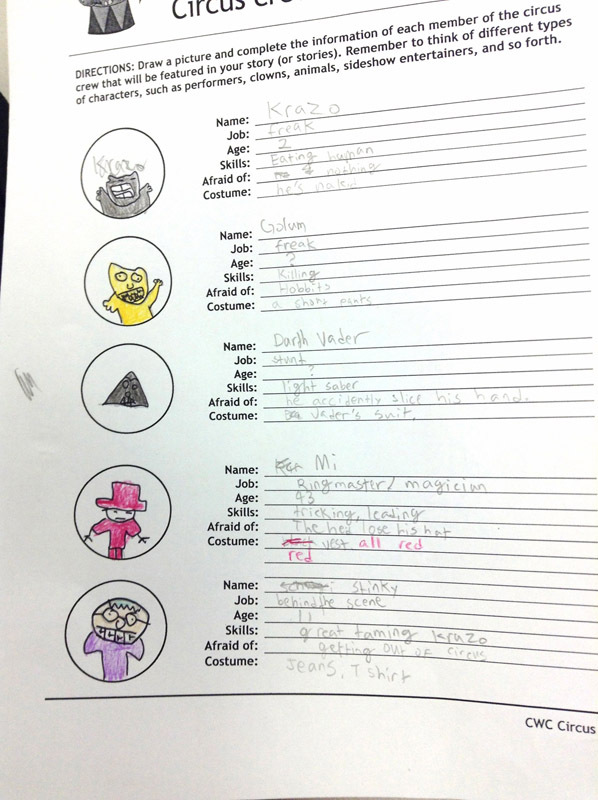 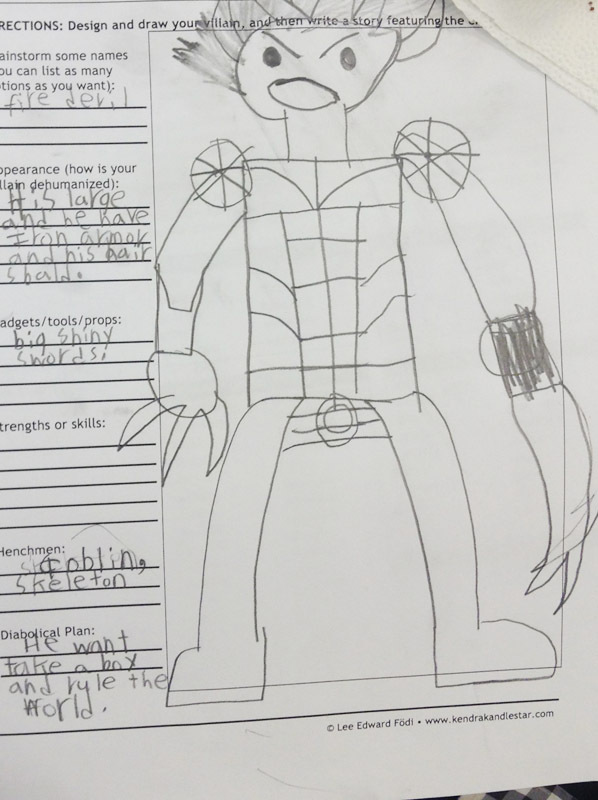 Then the kids set about designing their own heinous antagonists. 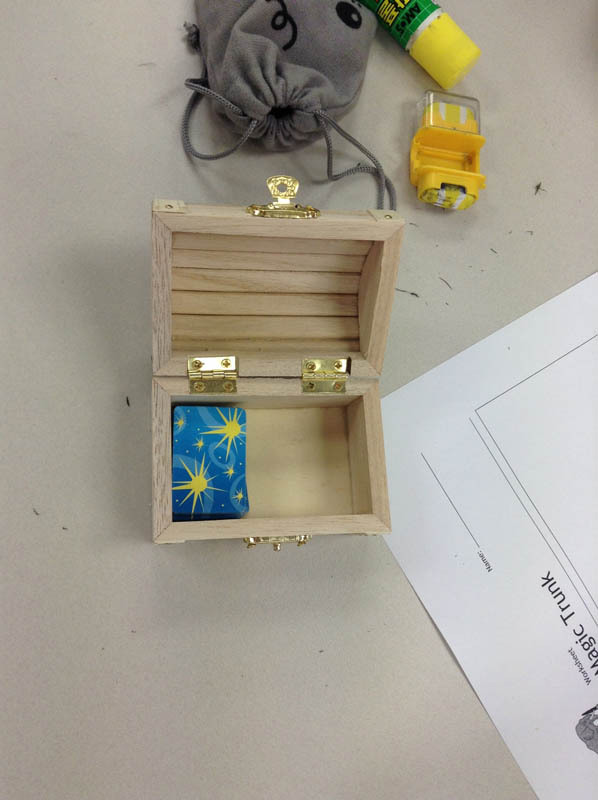 Here’s a few snapshots of their work . 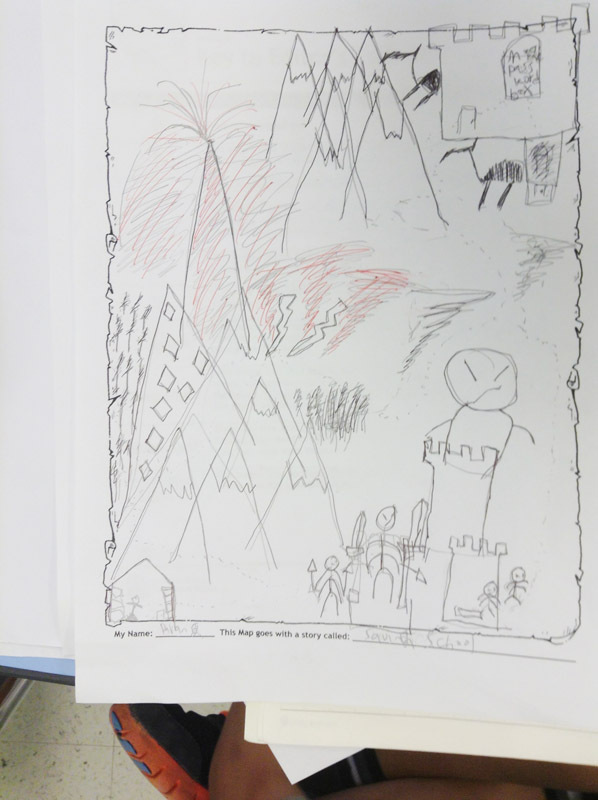 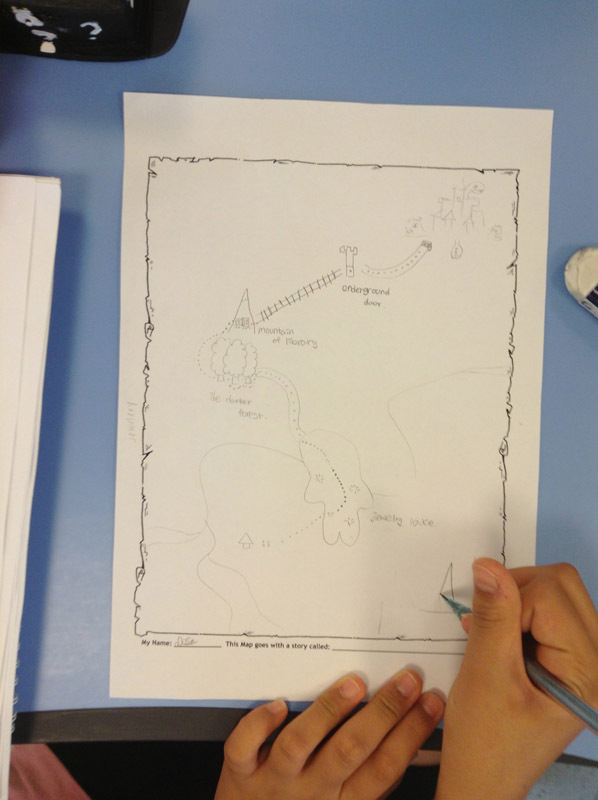 . .
For day 3 of my writing camp at CBIS international school in Korea, we focused on mapping out our heroes’ journeys as they searched for their boxes and other treasures. 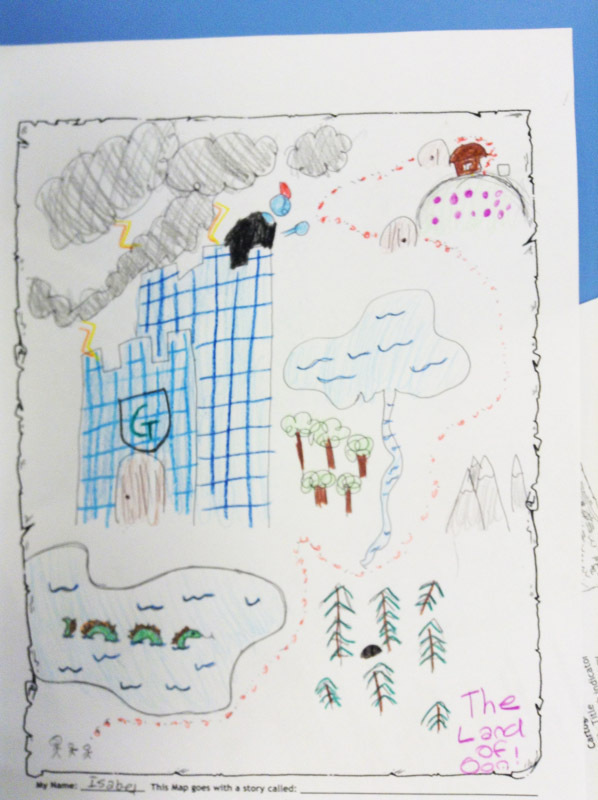 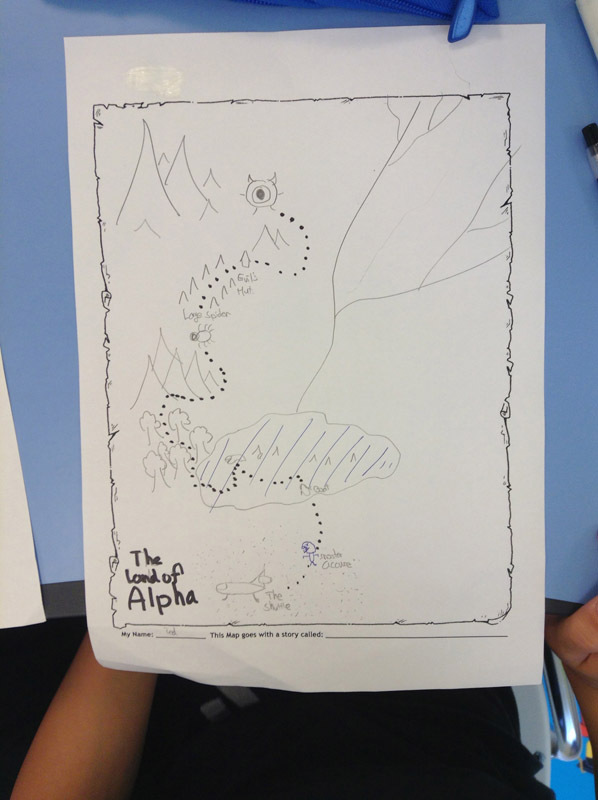 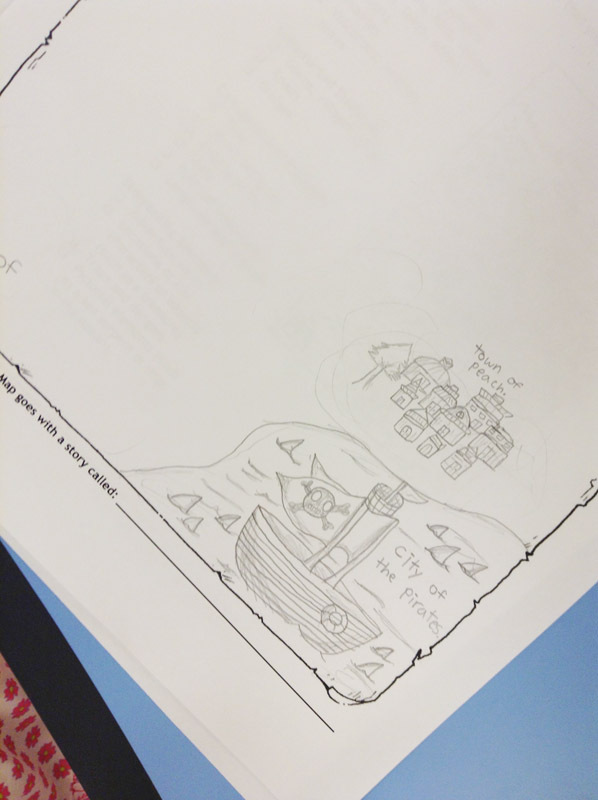 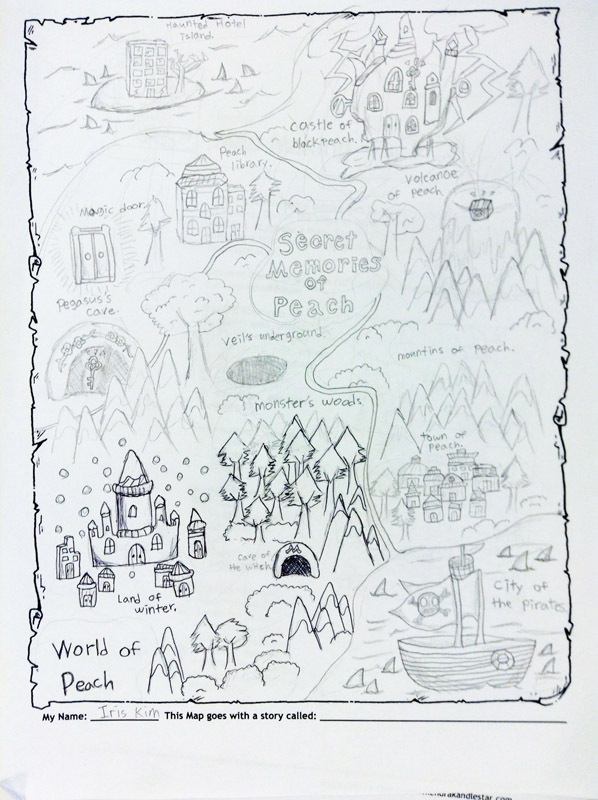 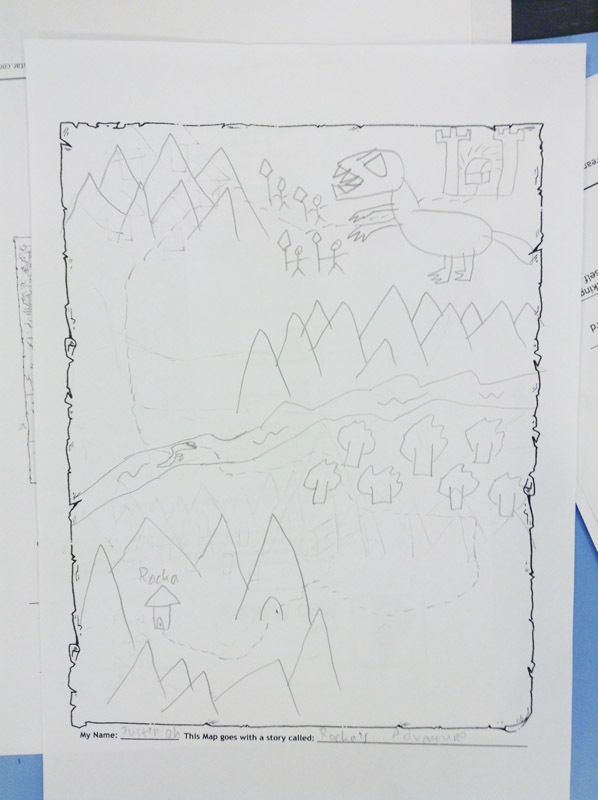 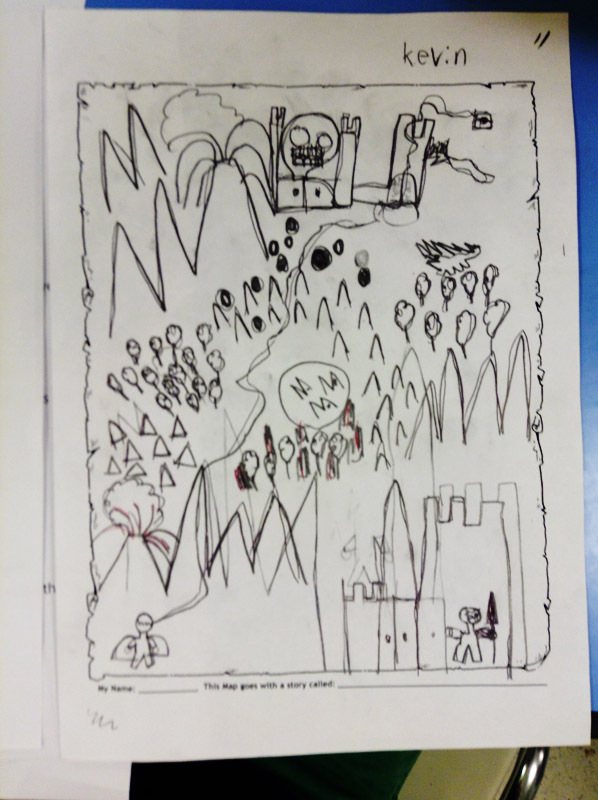 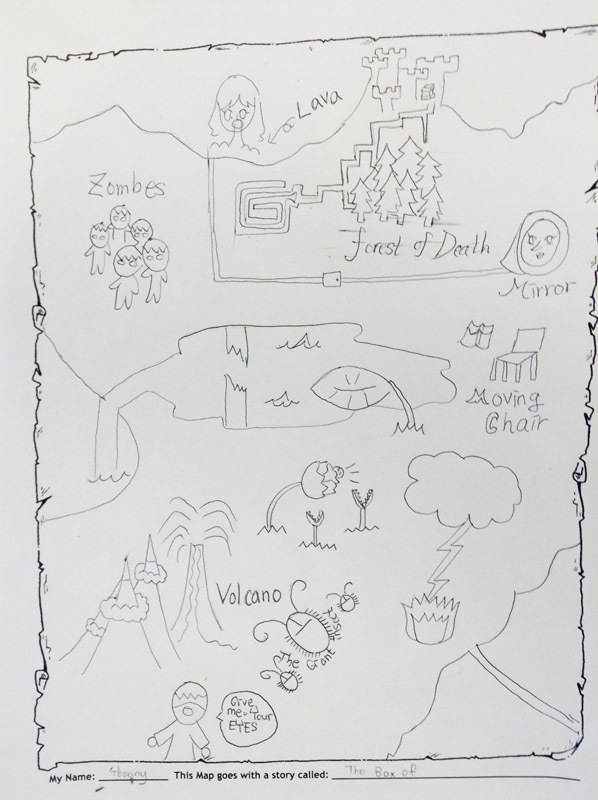 We started by examining some of the common elements of fantasy settings and then together brainstormed a map in which a hapless hero (in this case, ME) went in search of a treasure. 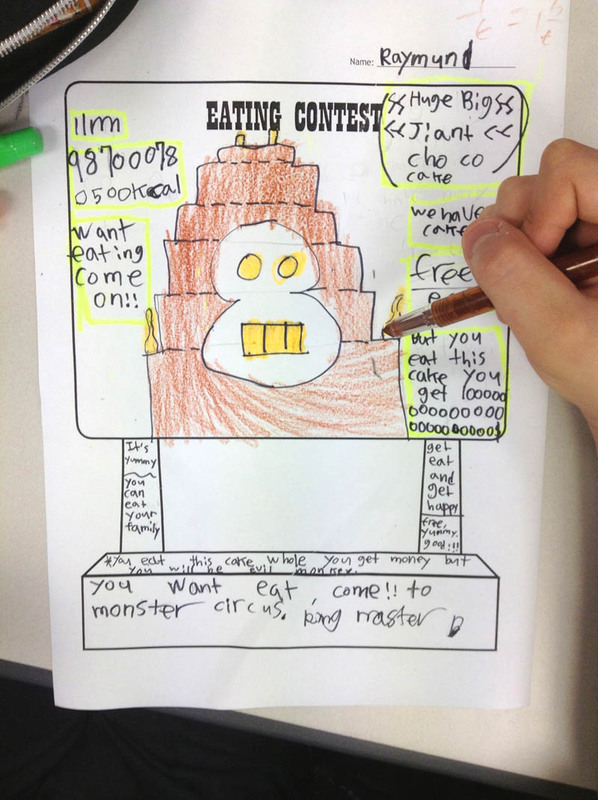 My students had quite a lot of fun during this activity, adding obstacles to get in my way. 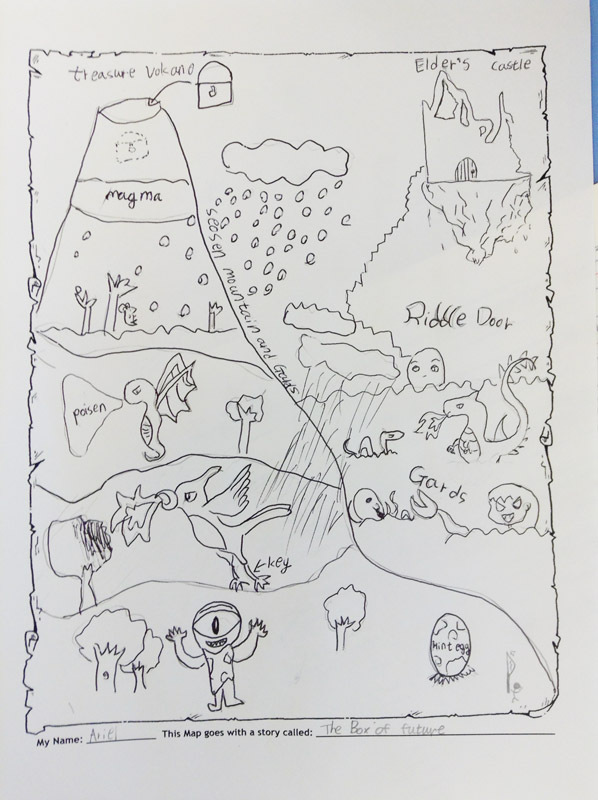 By the end, I had fallen into a pit, was whirled away by a tornado, and was even hunted by one of my students who had taken on a Gollum-like form. 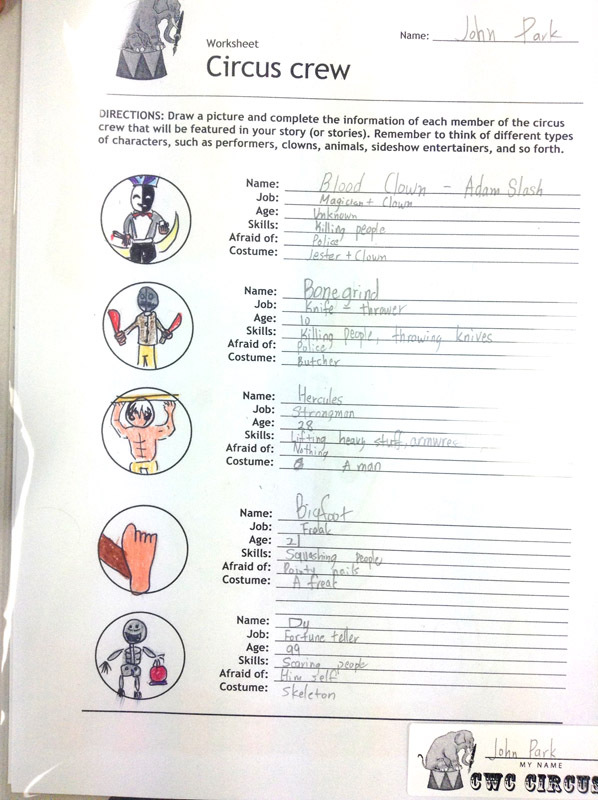 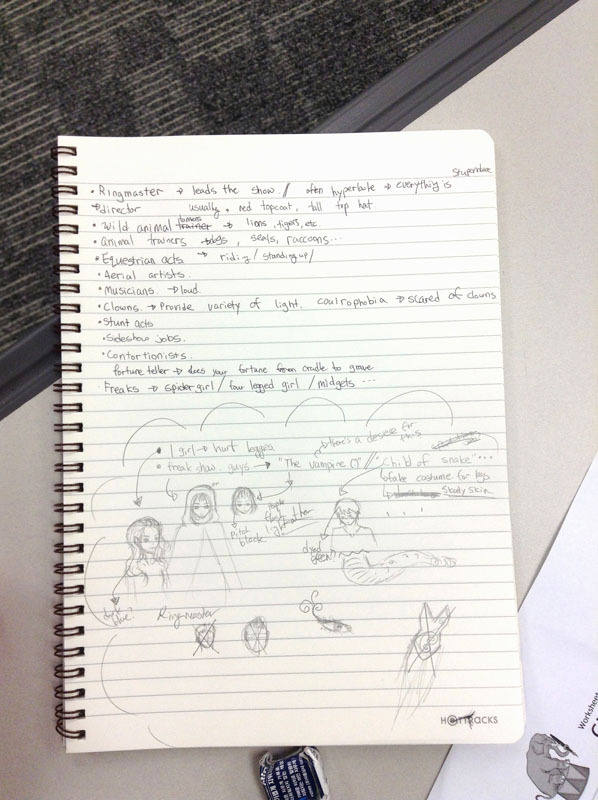 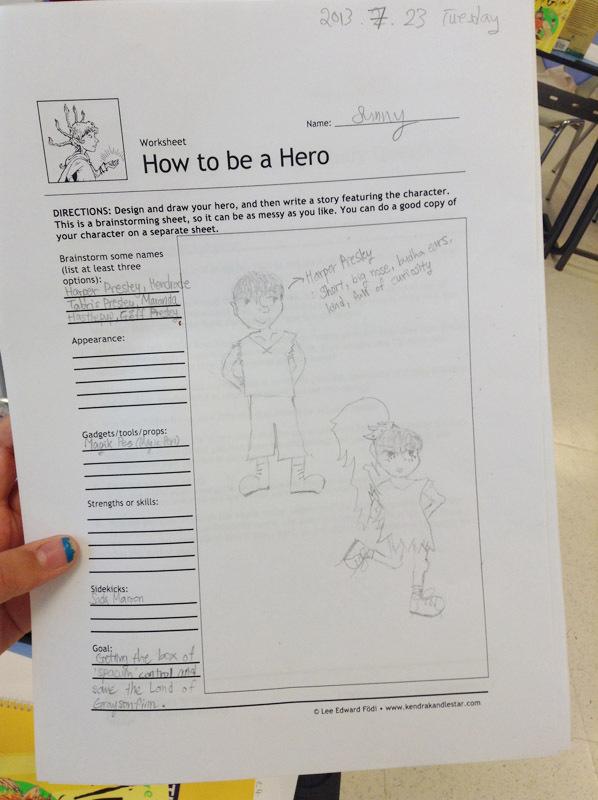 This exercise really helped them understand how complications are intrinsic to a good story. 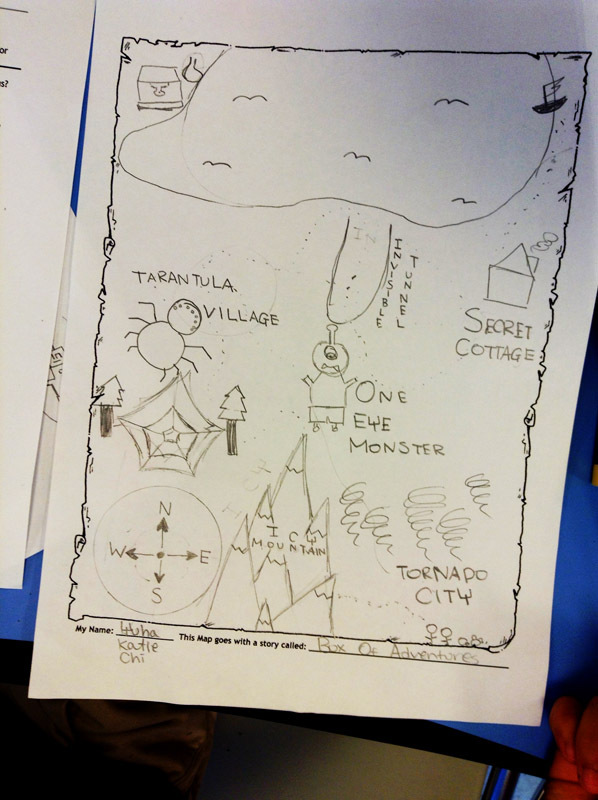 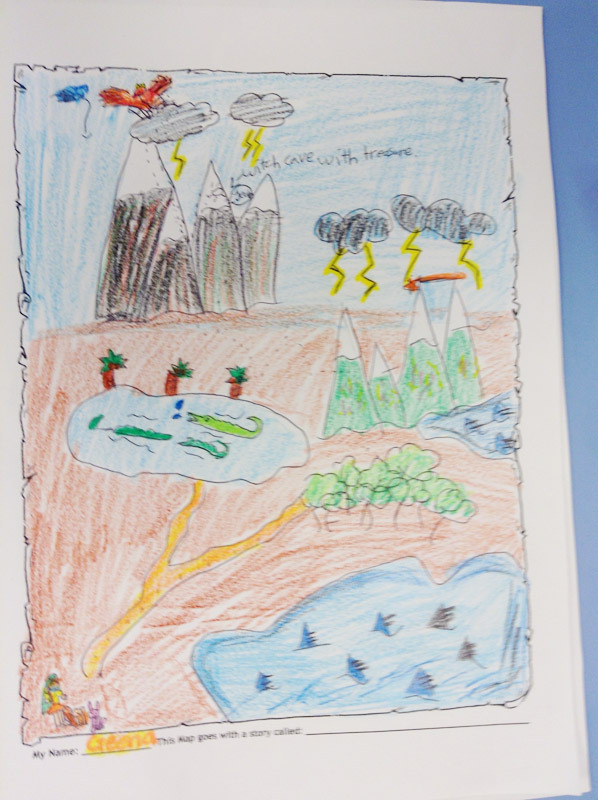 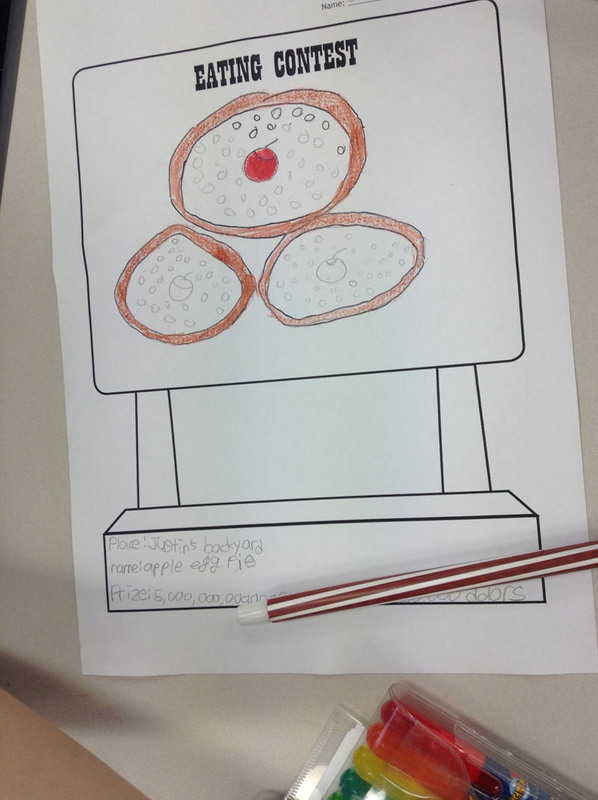 When we were done the group activity, they then made their own individual maps. 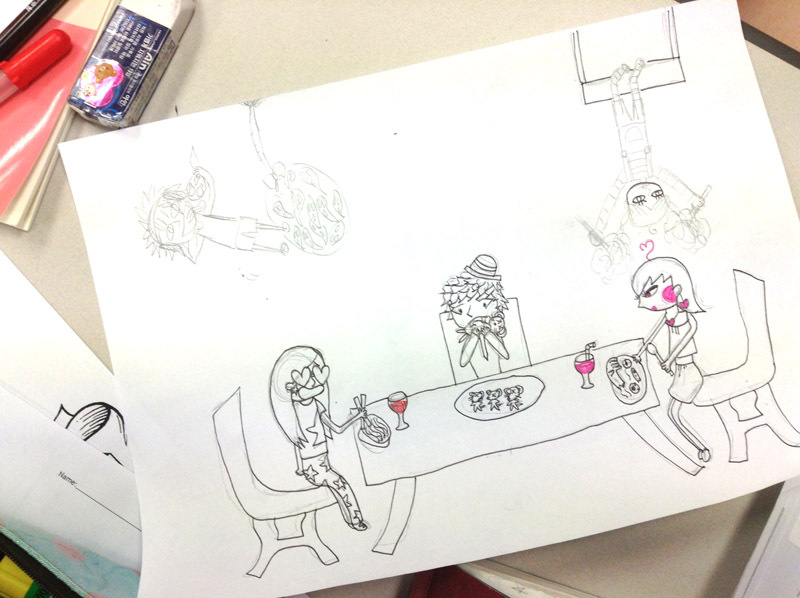 Here some photos of their work in progress . . .